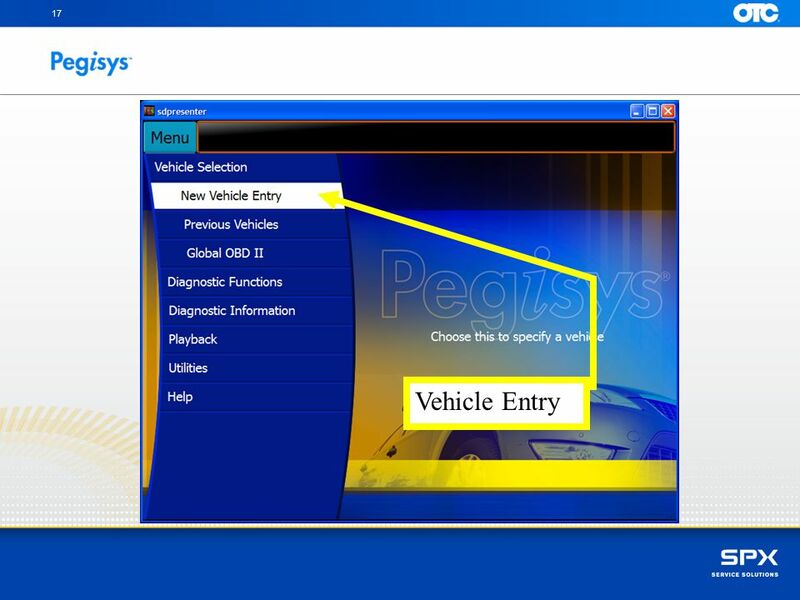 2 Goals Each Technician will gain the ability to operate the Pegisys at a comfort level to enable them to perform their tasks. 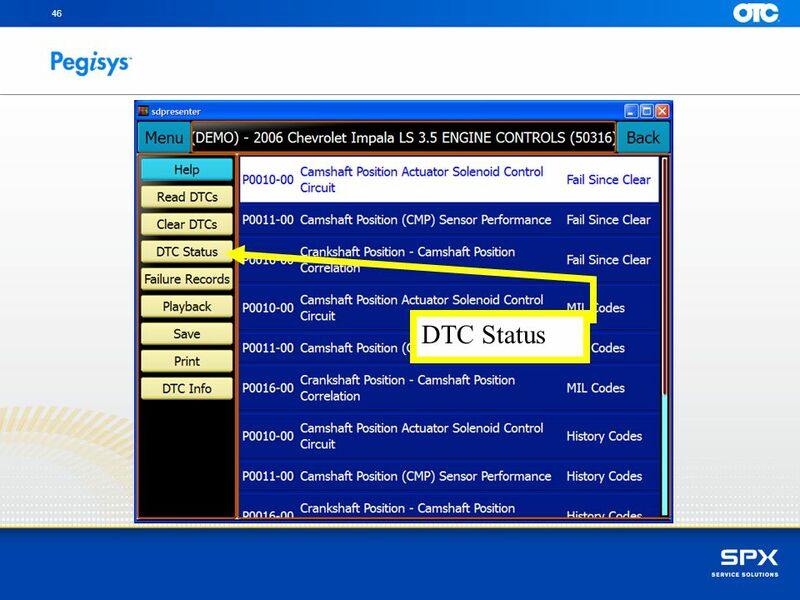 Each Technician will gain the ability to operate the Pegisys at a comfort level to enable them to perform their tasks. 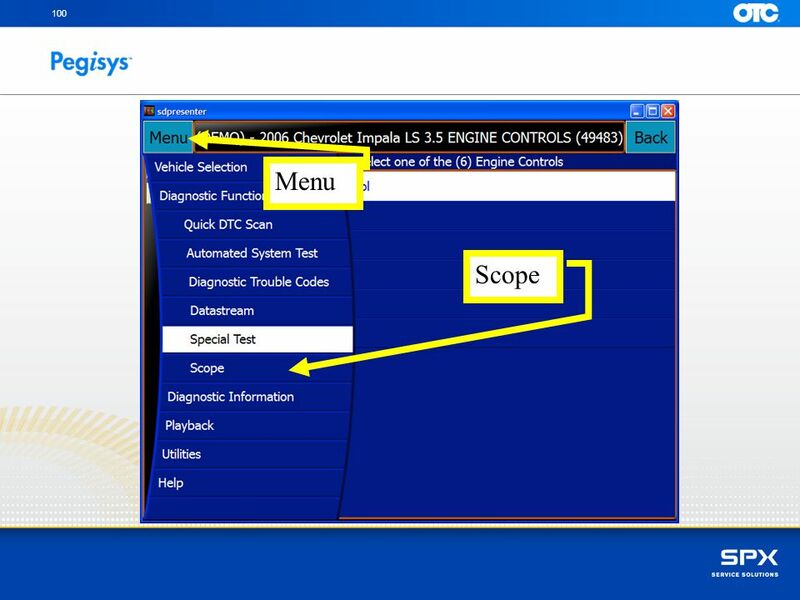 3 Pegisys Host A shop rugged tablet and High-Speed 2 Channel Scope Vehicle Communications Interface (VCI) The VCI is J2534 All Makes Reprogramming compliant and in future will perform as a standalone Code Reader and Flight Data Recorder. 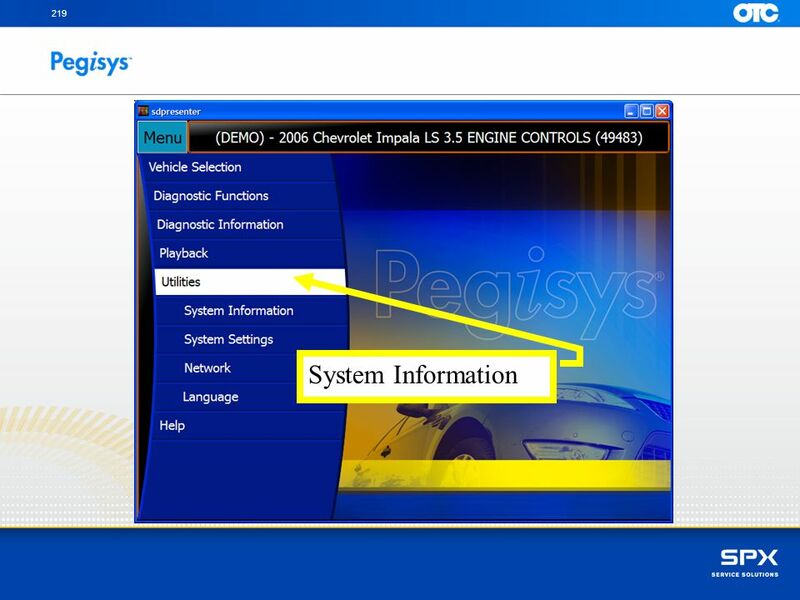 Pegisys & the VCI un-tether the technician from the vehicle. 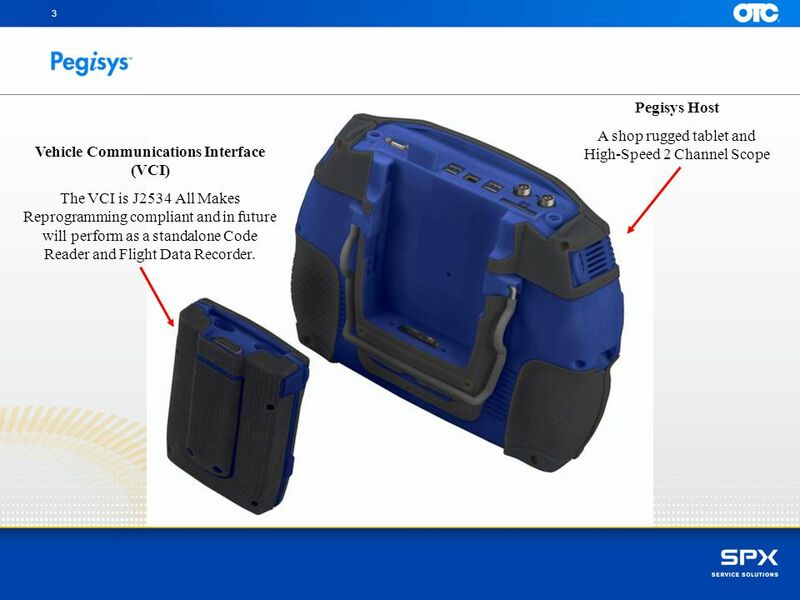 Freedom, Productivity, and Convenience Pegisys Host - A shop rugged tablet and High-Speed 2 Channel Scope Vehicle Communications Interface - The VCI is J2534 All Makes Reprogramming compliant and in future will perform as a standalone Code Reader and Flight Data Recorder. 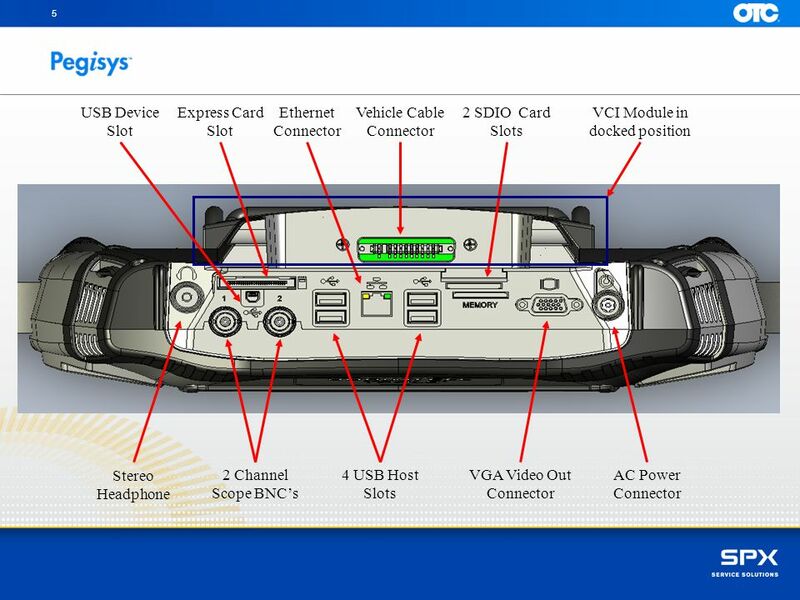 5 5 Vehicle Cable Connector Ethernet Connector Express Card Slot 2 SDIO Card Slots 4 USB Host Slots 2 Channel Scope BNC’s VGA Video Out Connector AC Power Connector Stereo Headphone USB Device Slot VCI Module in docked position Featuring the latest PC technology combined with OTC’s 25 year experience in scan technology and integrated high speed scope make this the most advanced diagnostic system in the industry. 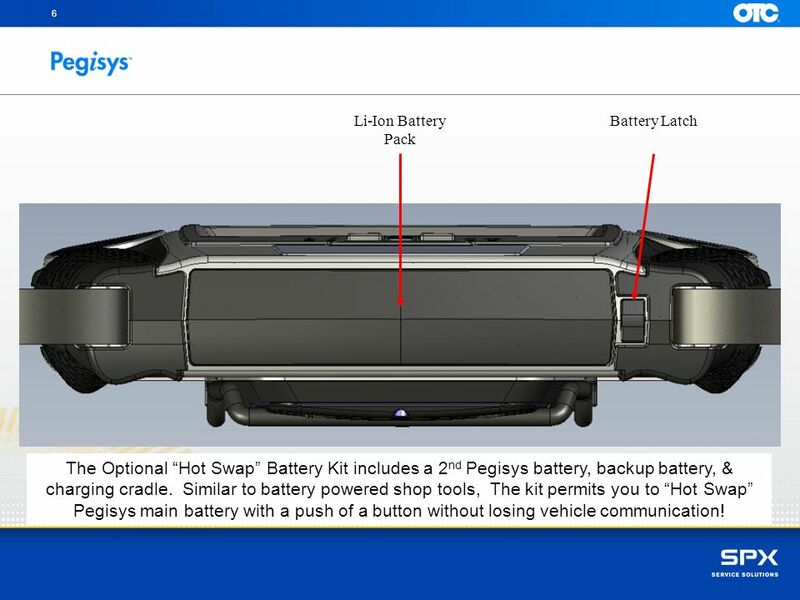 6 6 Li-Ion Battery Pack Battery Latch The Optional “Hot Swap” Battery Kit includes a 2nd Pegisys battery, backup battery, & charging cradle. 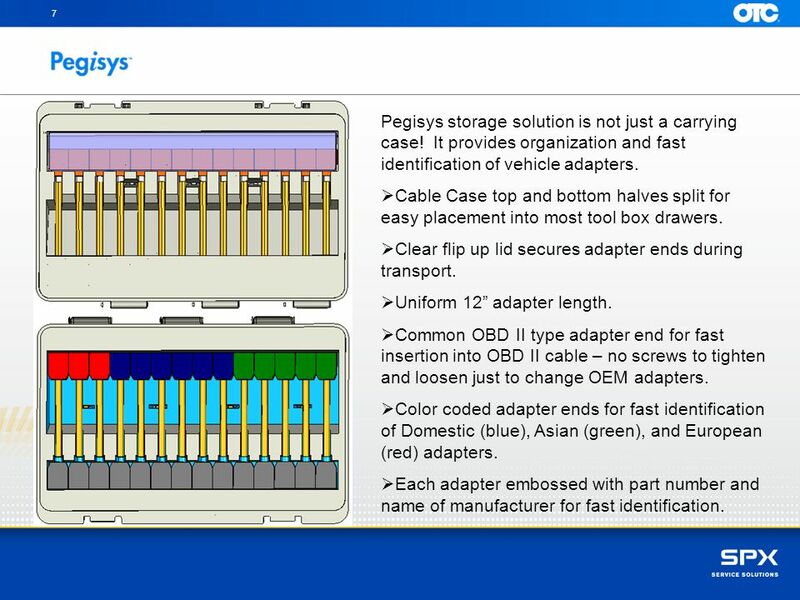 Similar to battery powered shop tools, The kit permits you to “Hot Swap” Pegisys main battery with a push of a button without losing vehicle communication! 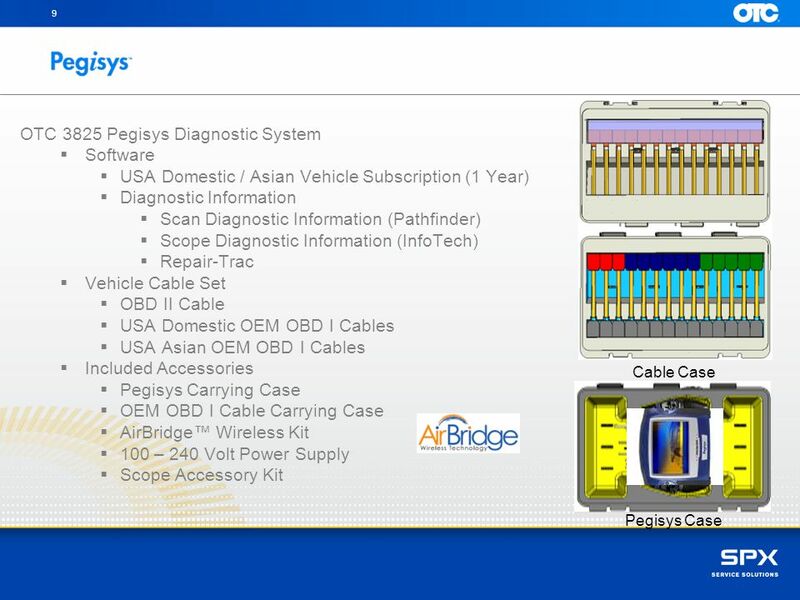 The Optional “Hot Swap” Battery Kit includes a 2nd Pegisys battery, backup battery, & charging cradle. 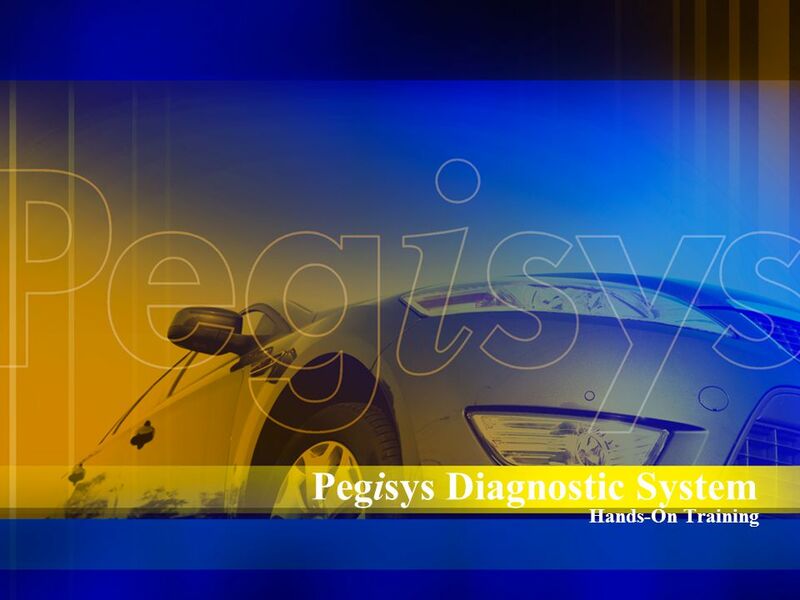 Similar to battery powered shop tools, The kit permits you to “Hot Swap” Pegisys main battery with a push of a button without losing vehicle communication! 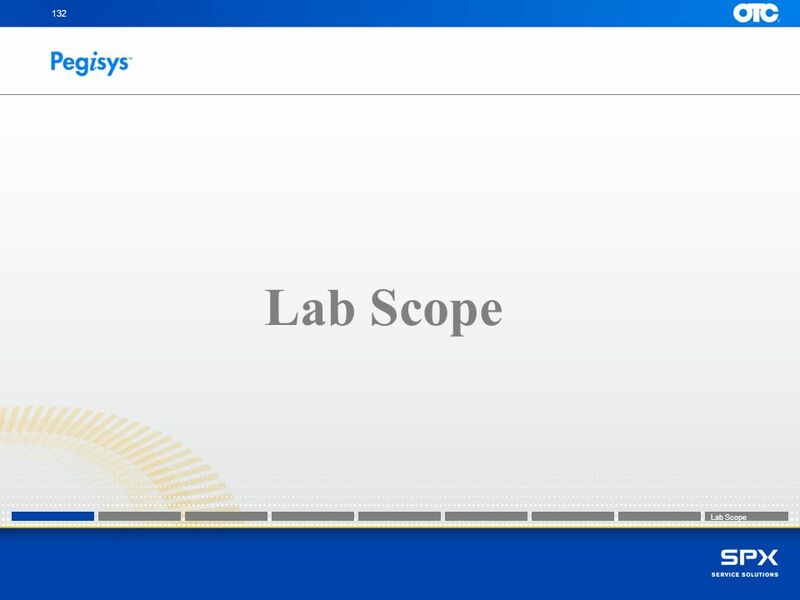 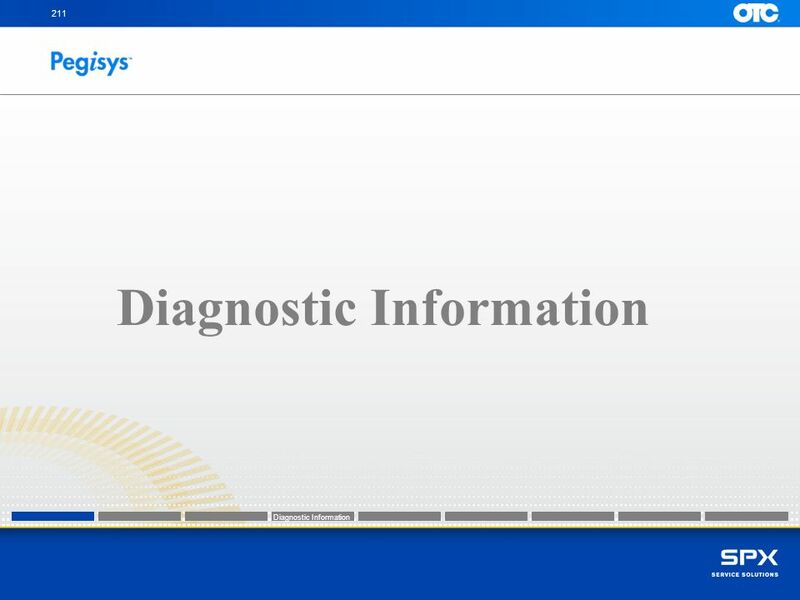 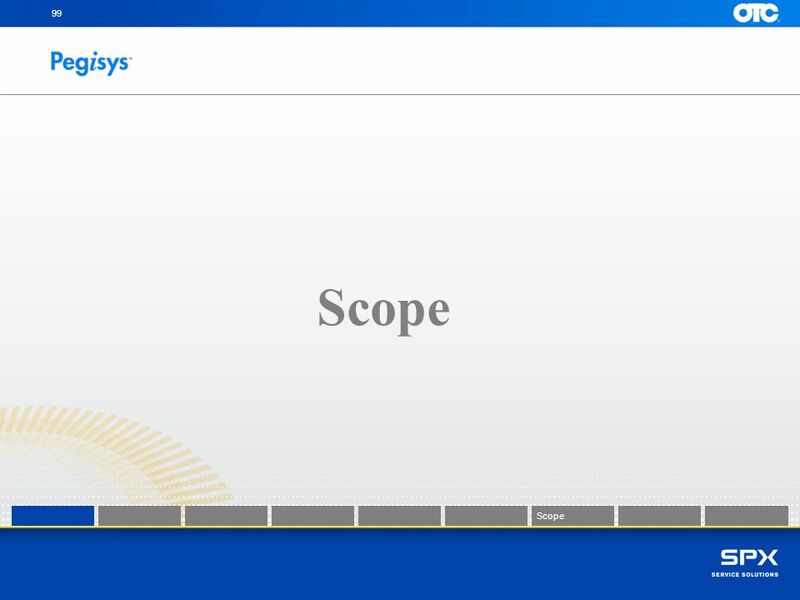 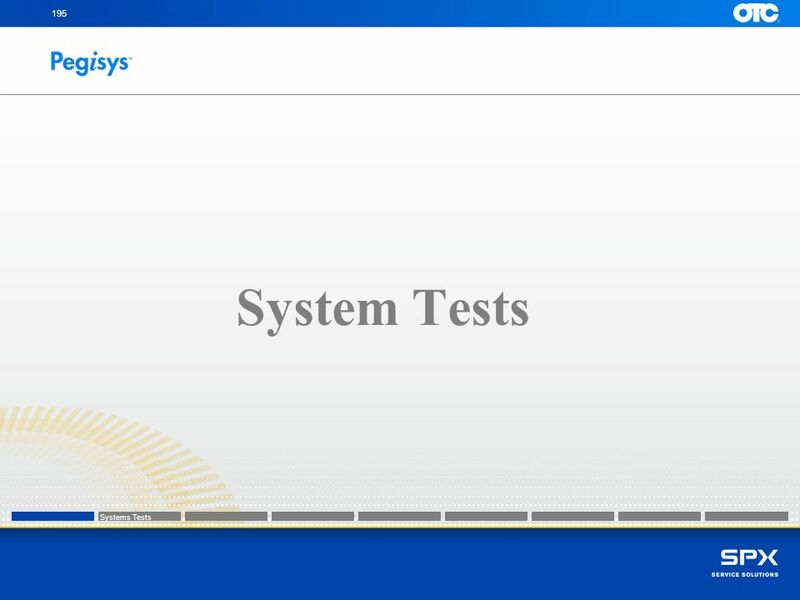 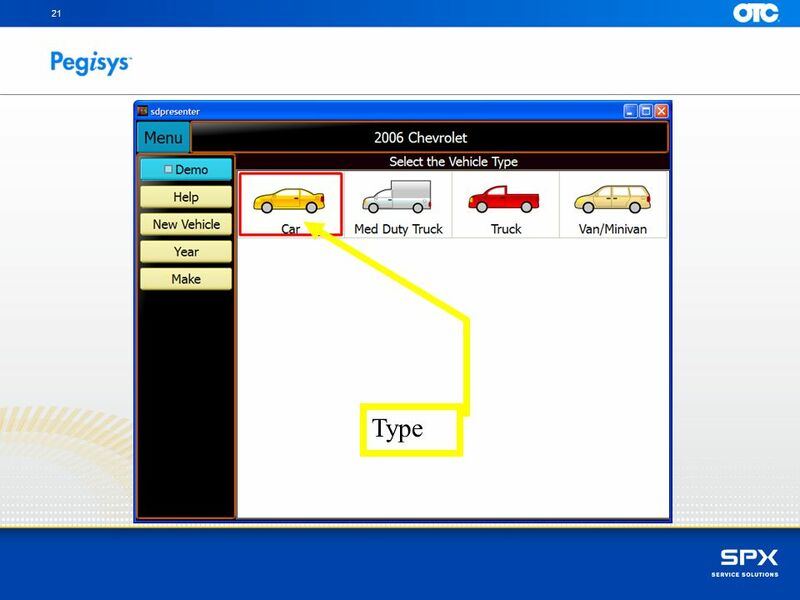 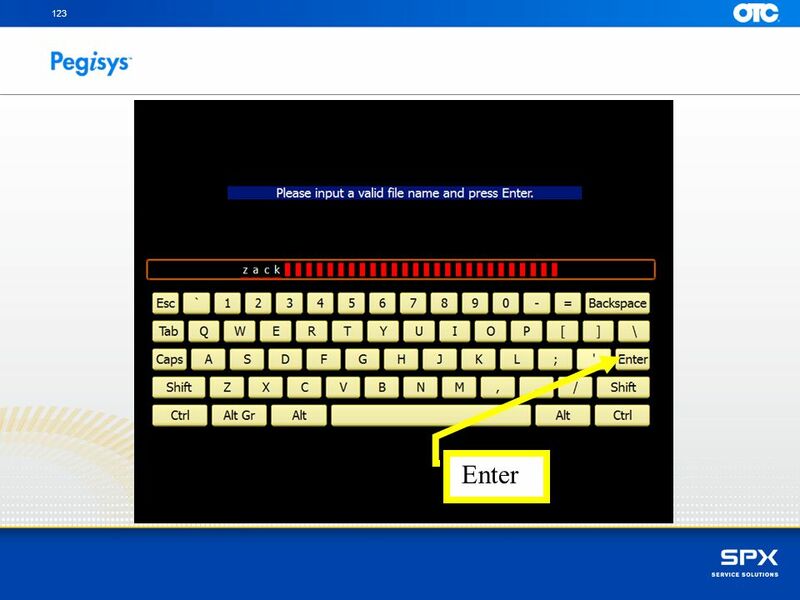 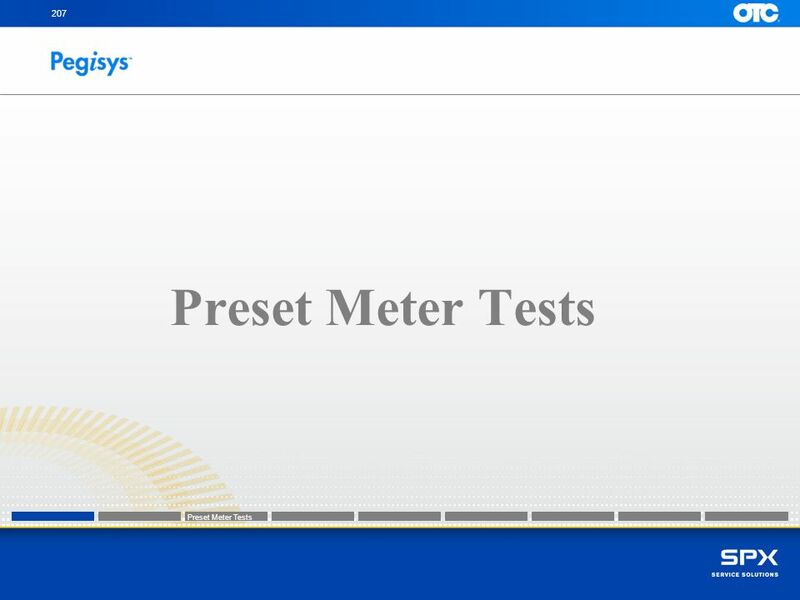 Download ppt "Pegisys Diagnostic System Hands-On Training"
Presumed Asbestos Training Programme. 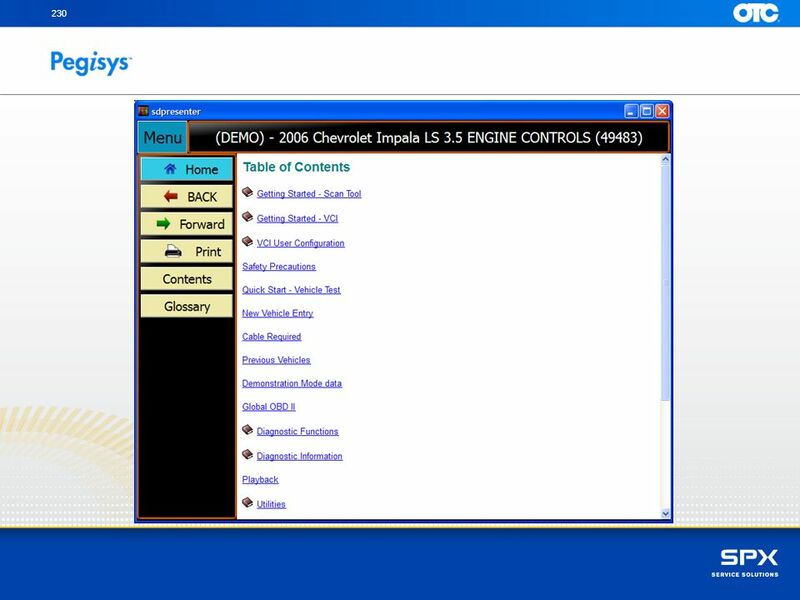 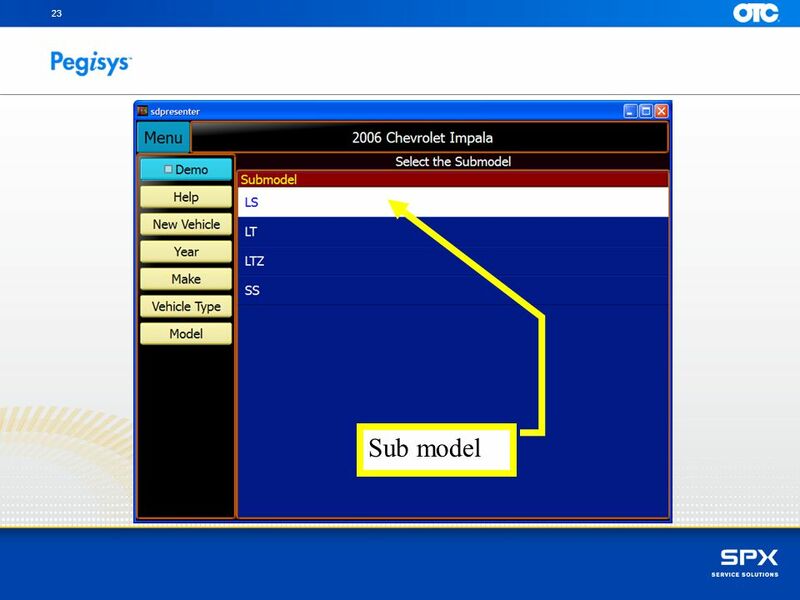 Introduction Getting Started The Interface Top Tool Bar Creating a New Site Type I Survey Type II Survey Type III. 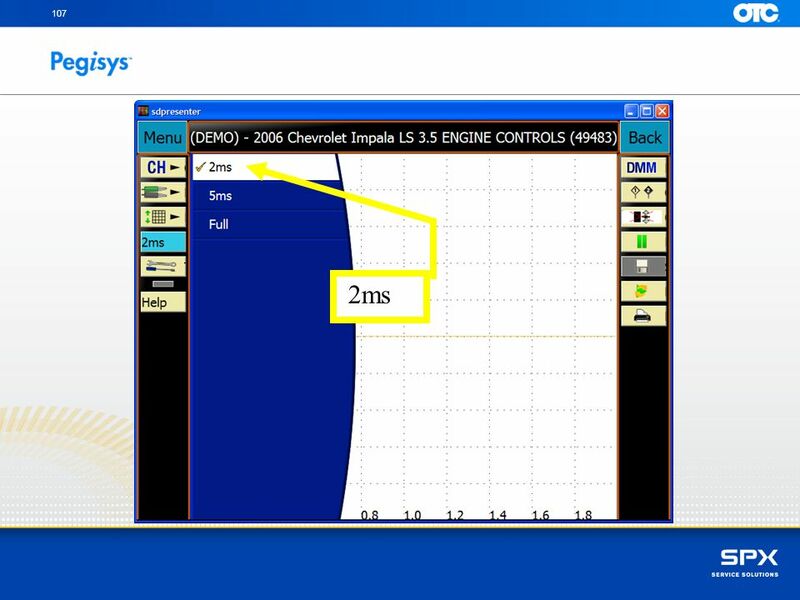 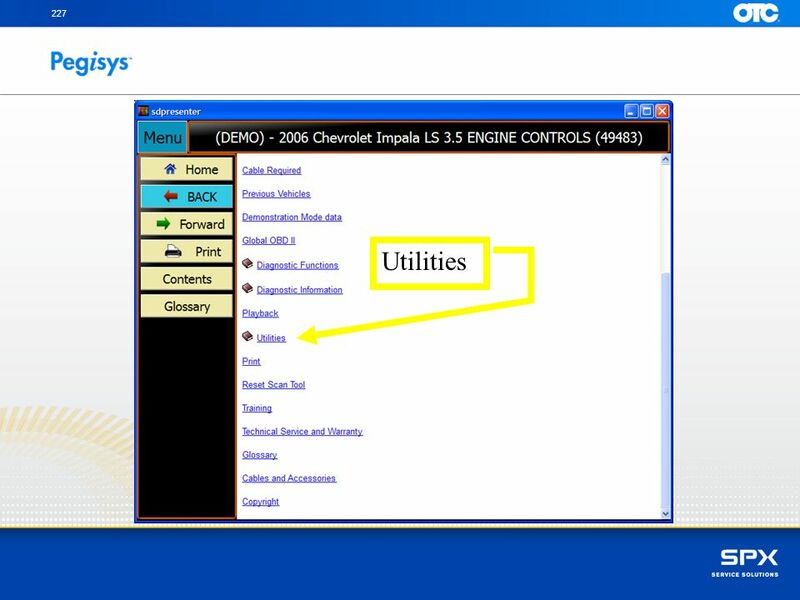 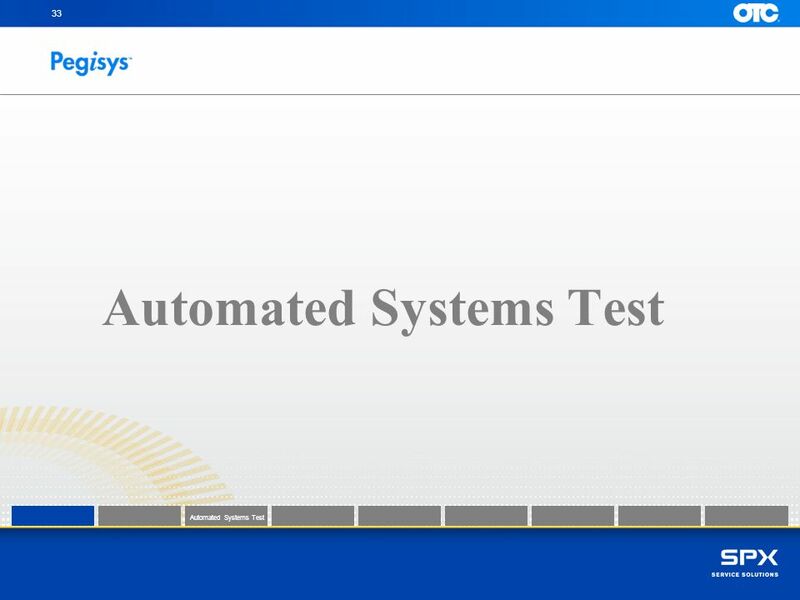 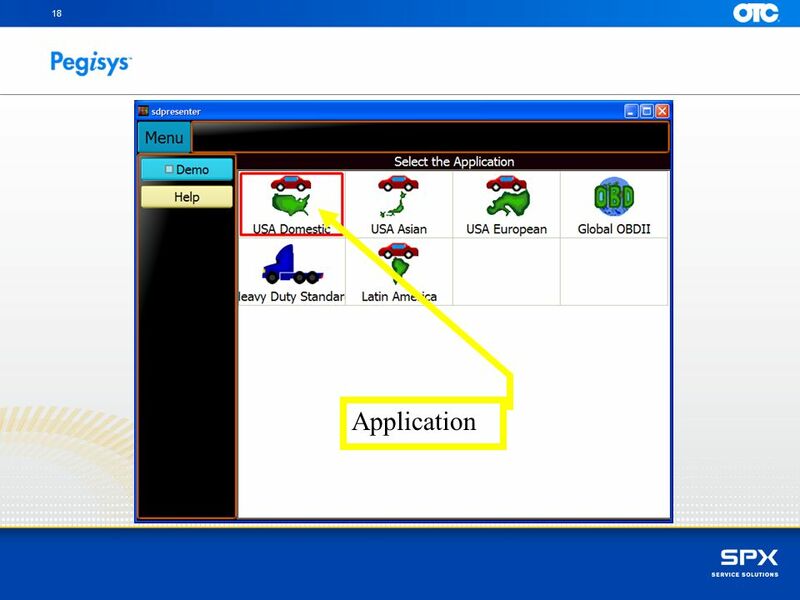 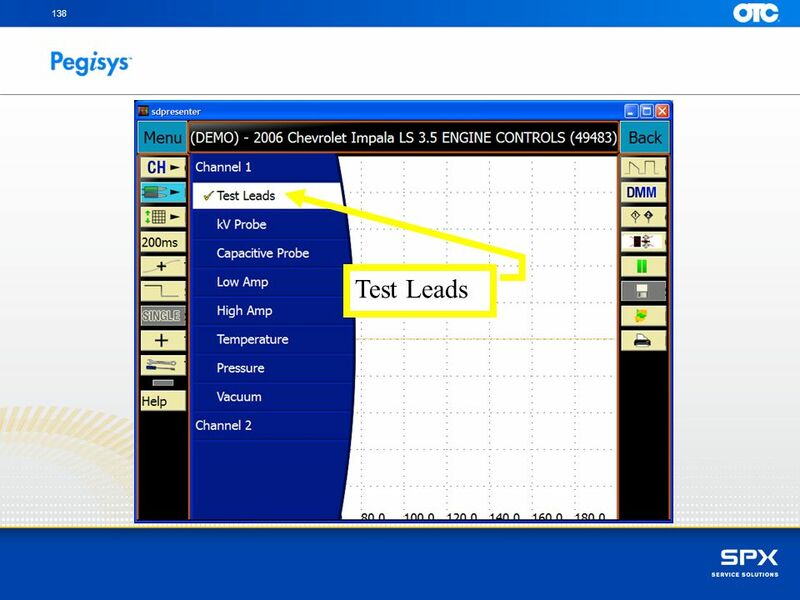 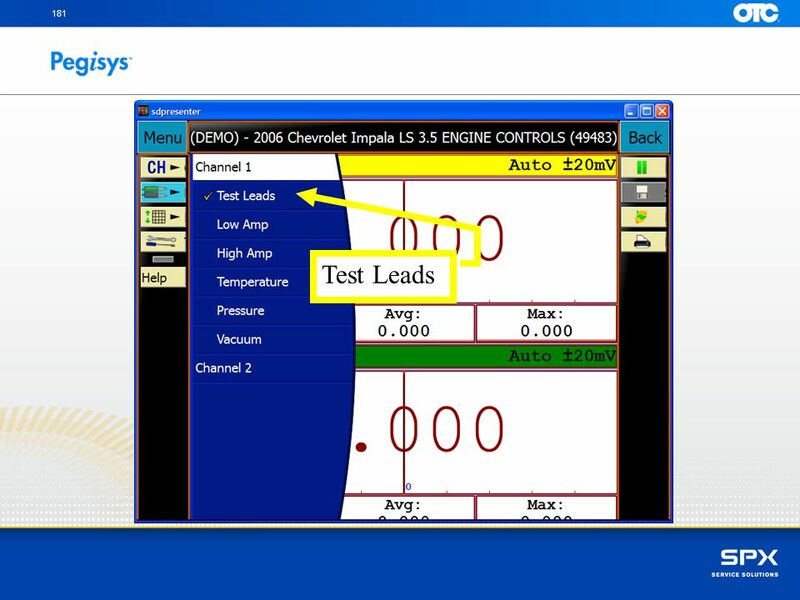 Get Genisys Smart Introducing the Automated Systems Tests and Smart Cable Steve Zack. 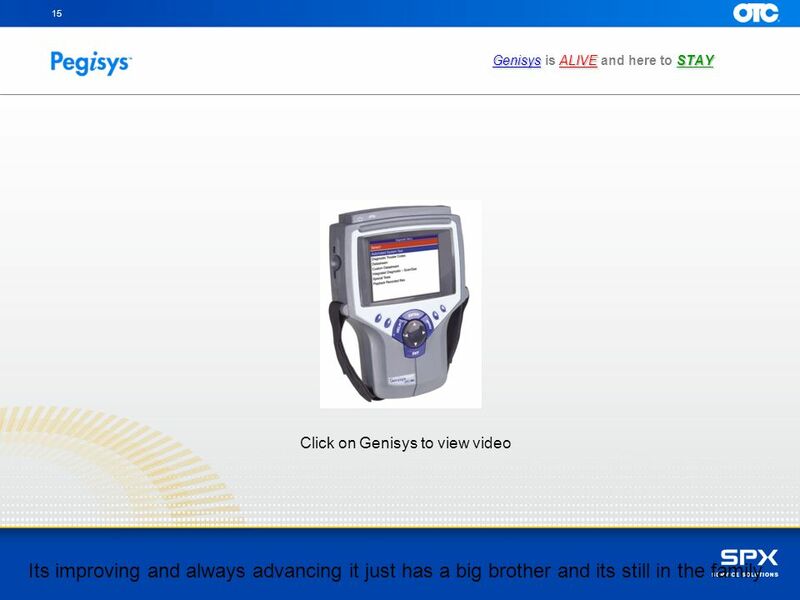 Get Genisys Smart Get Genisys Smart. 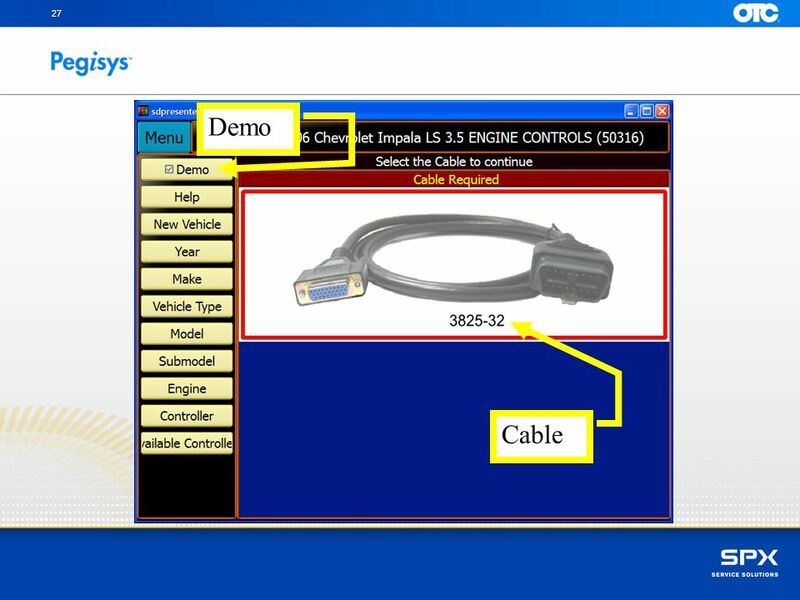 Cable Probe. 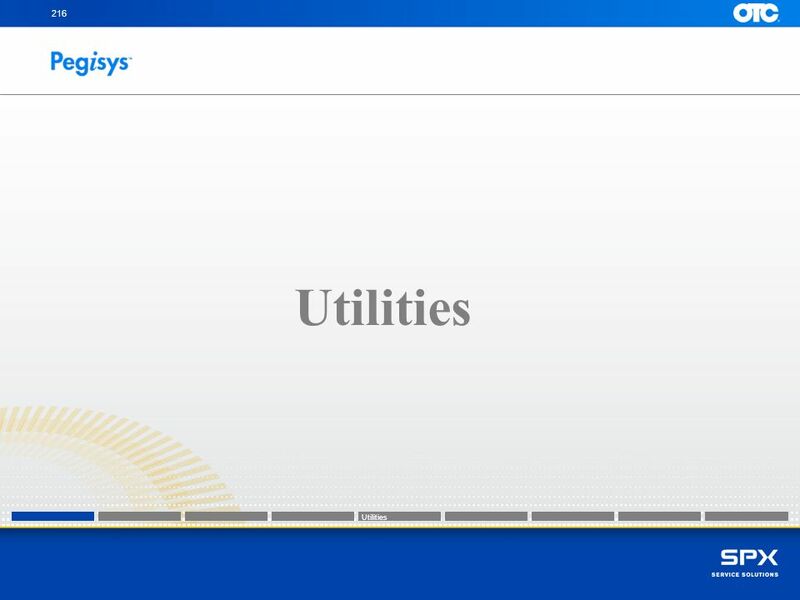 Safety First System can conduct electricity Do not use in flammable atmosphere Use proper personal protective equipment. 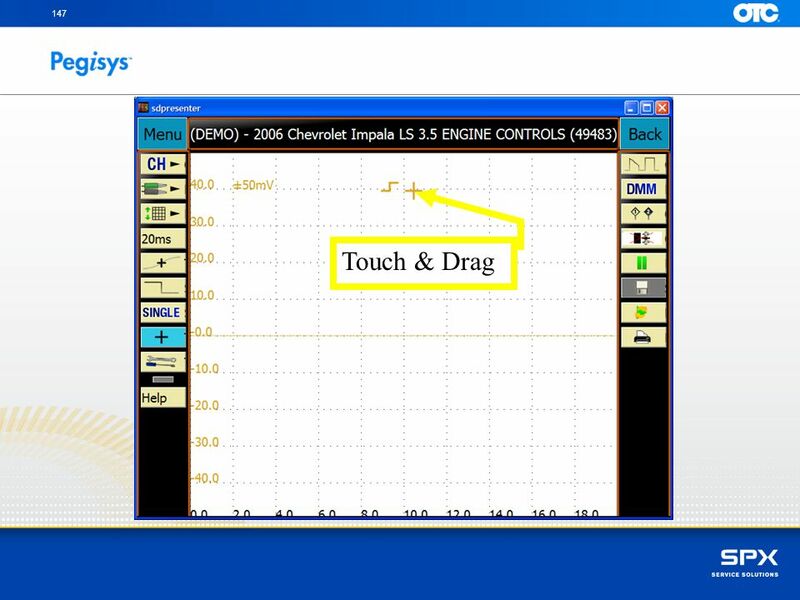 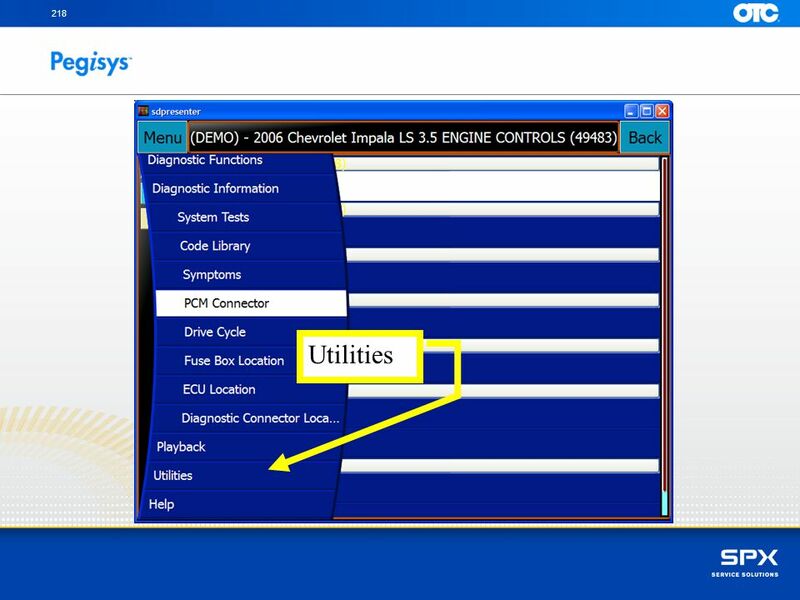 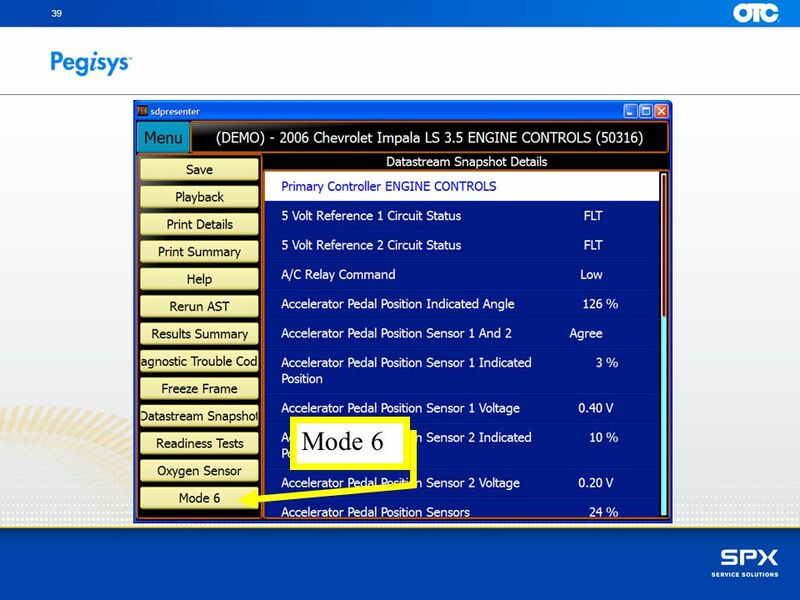 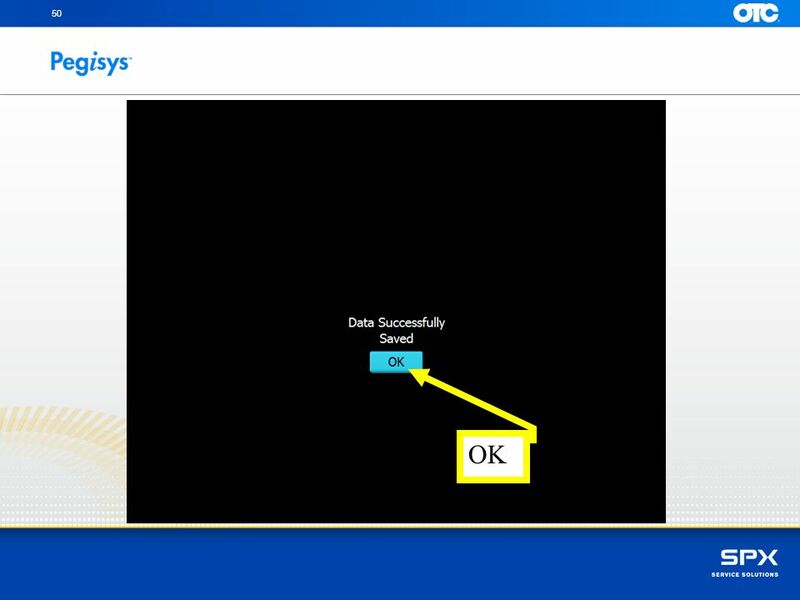 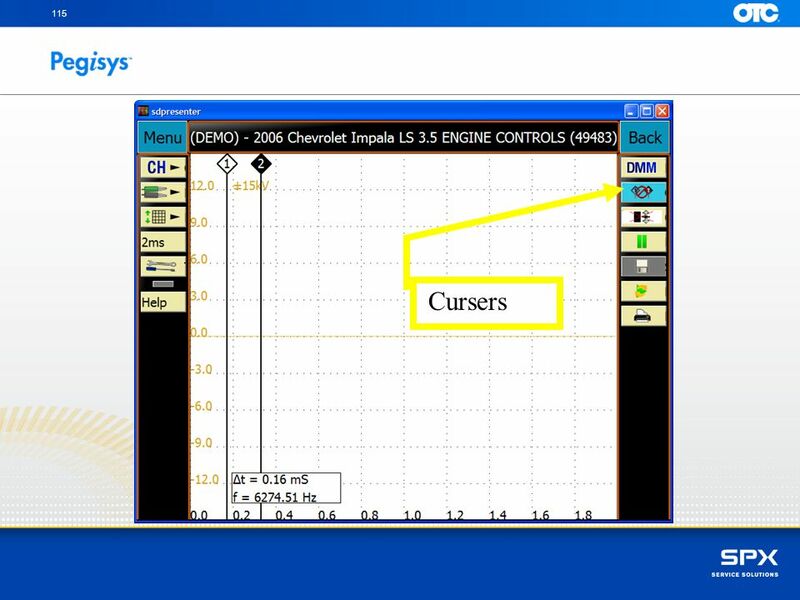 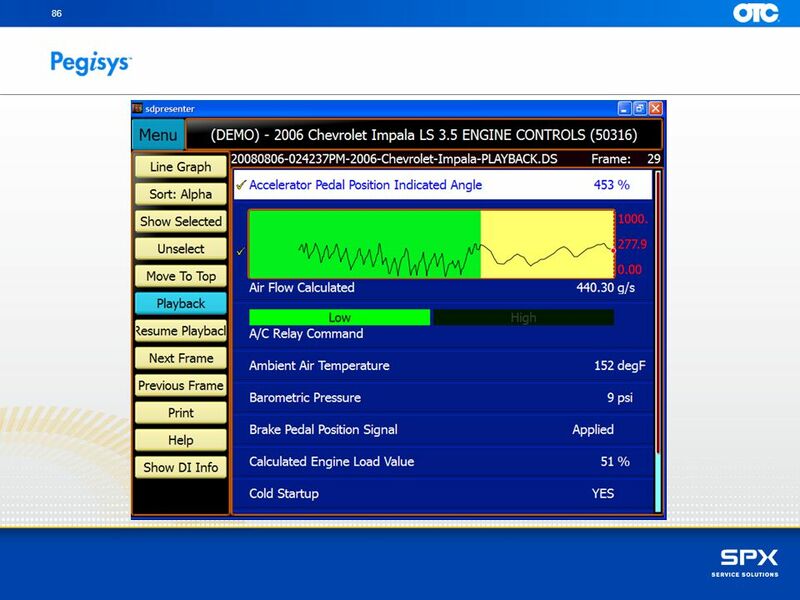 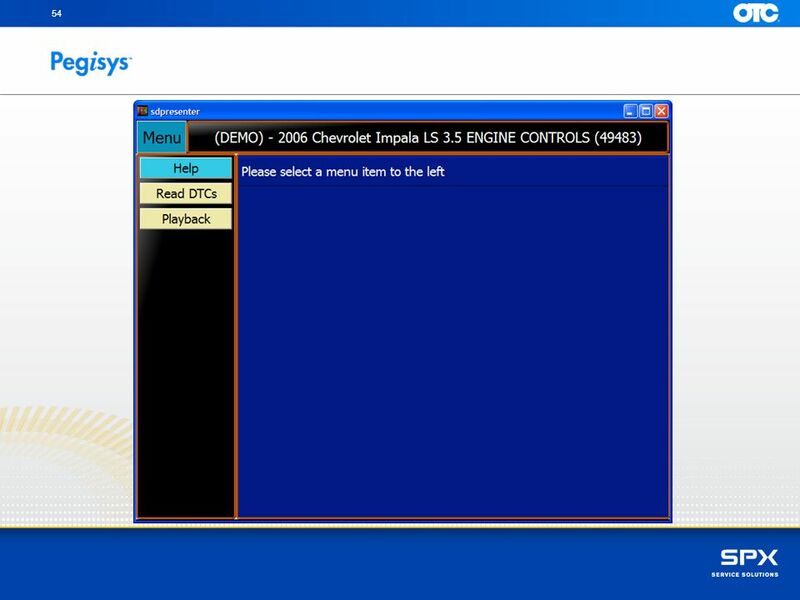 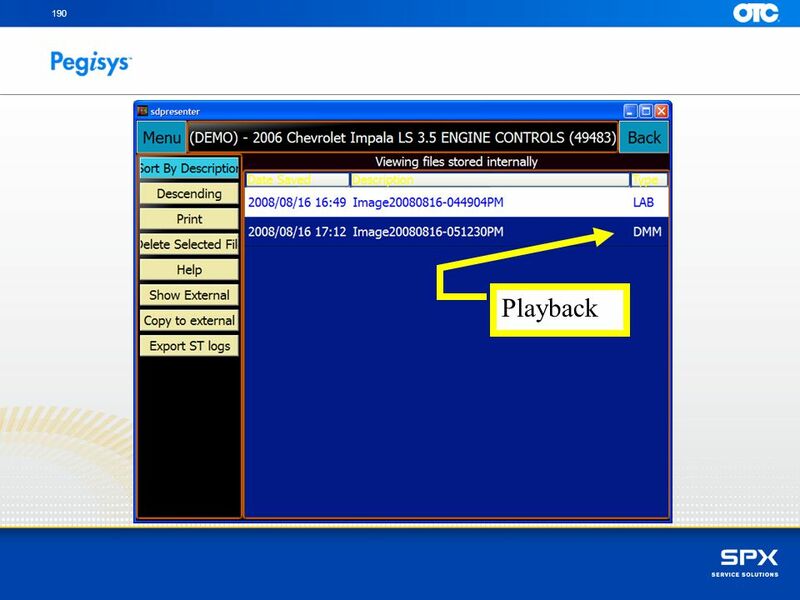 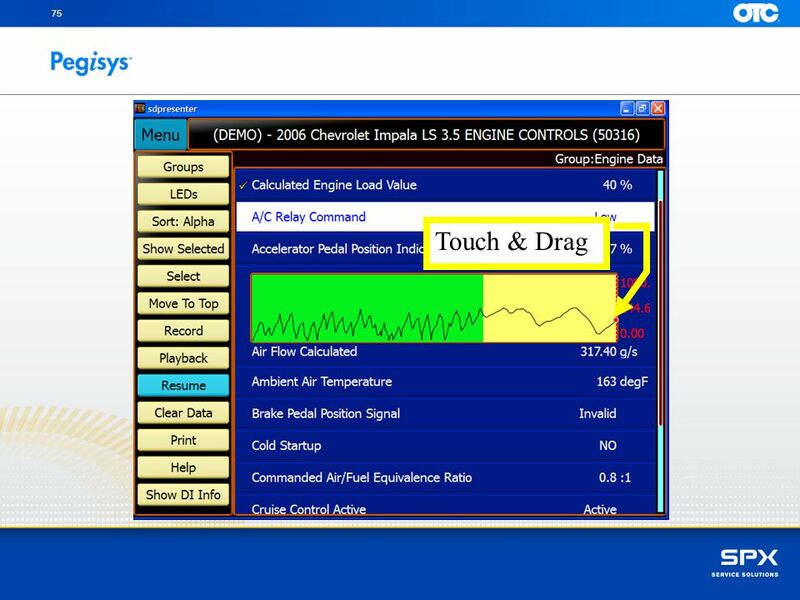 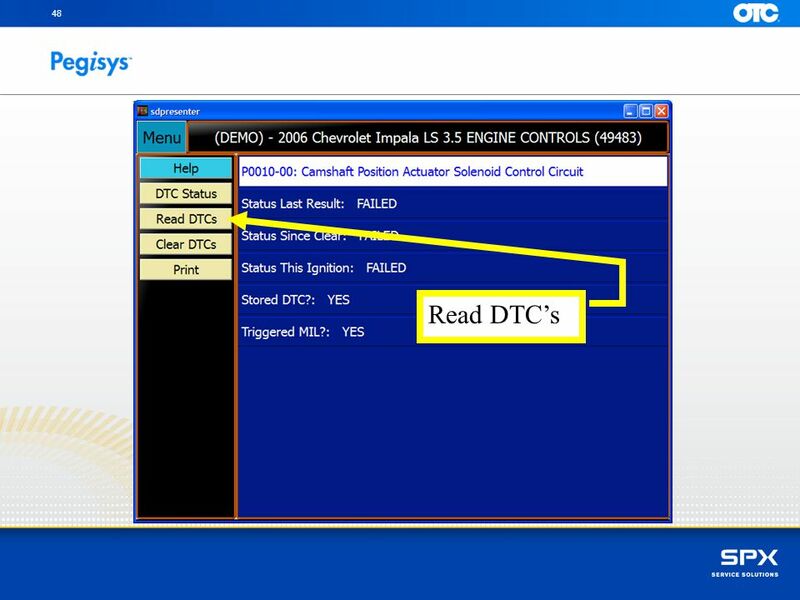 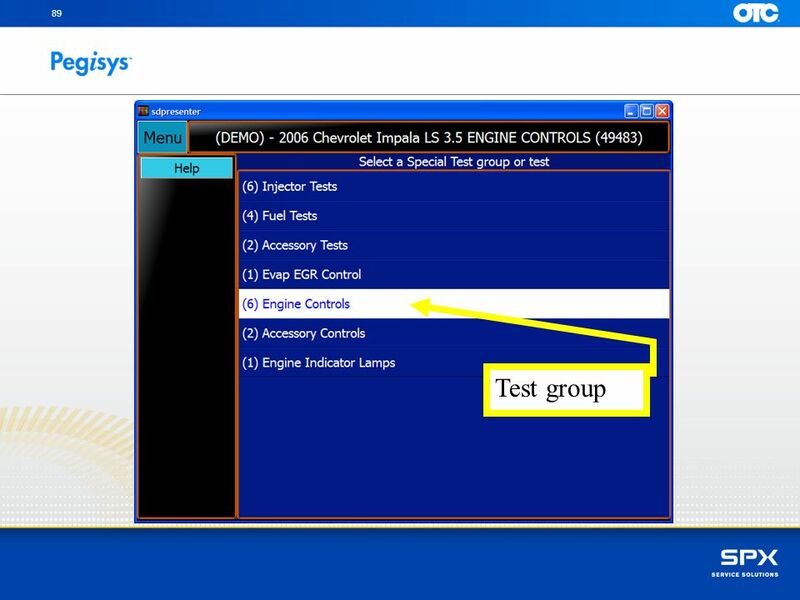 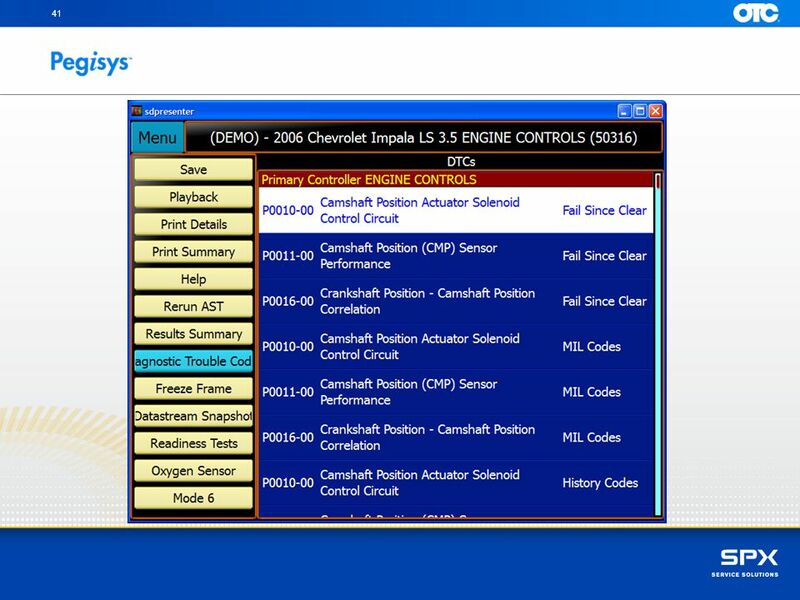 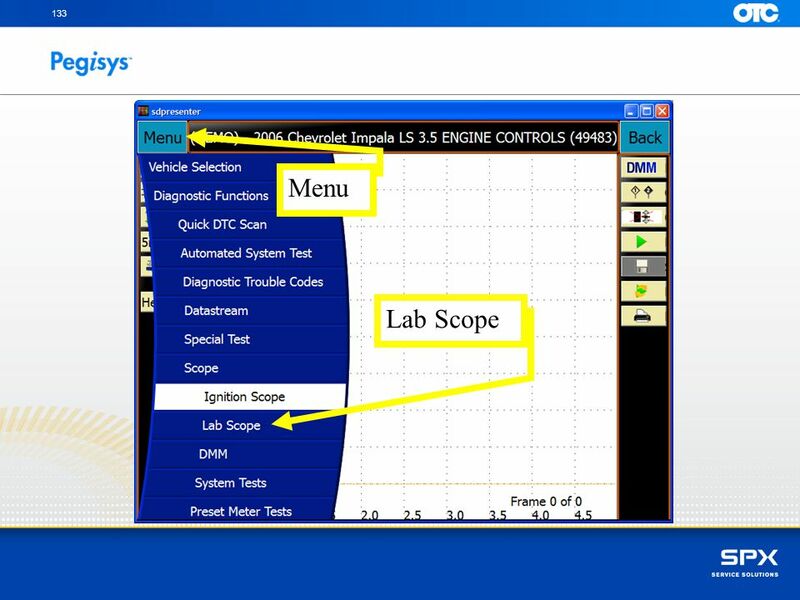 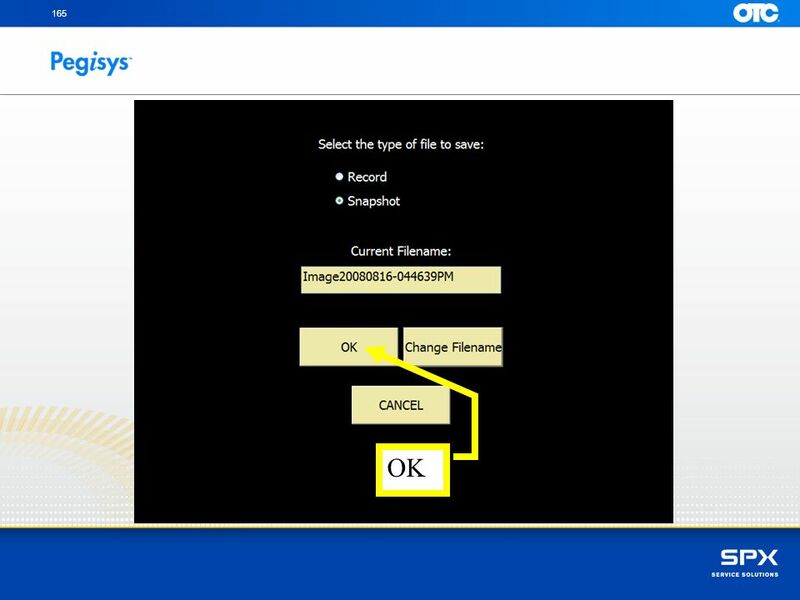 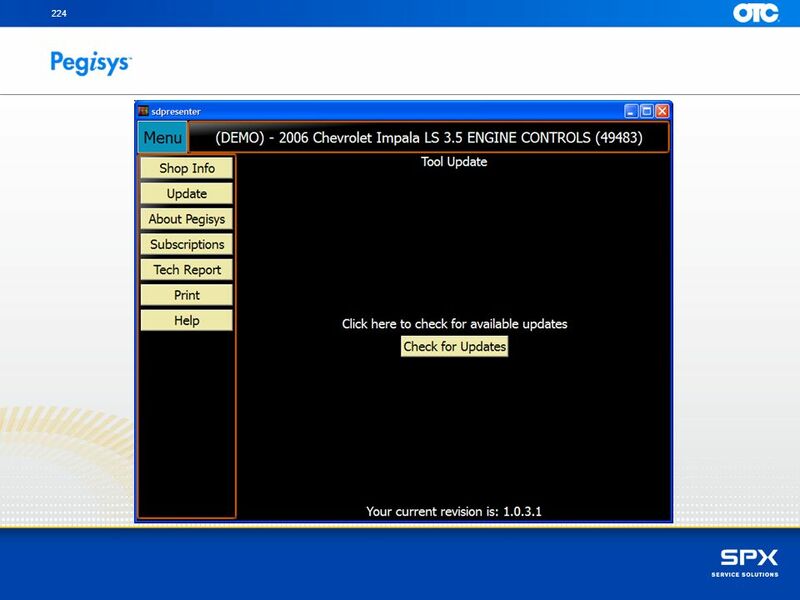 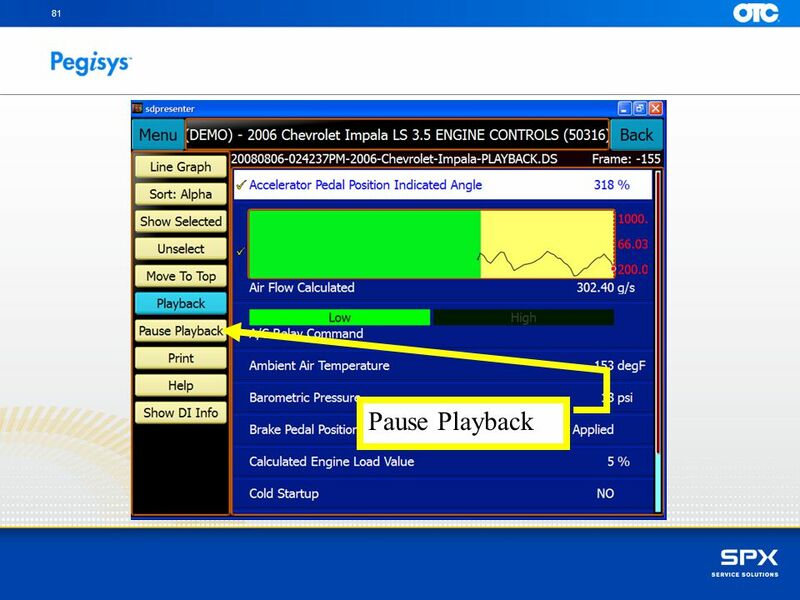 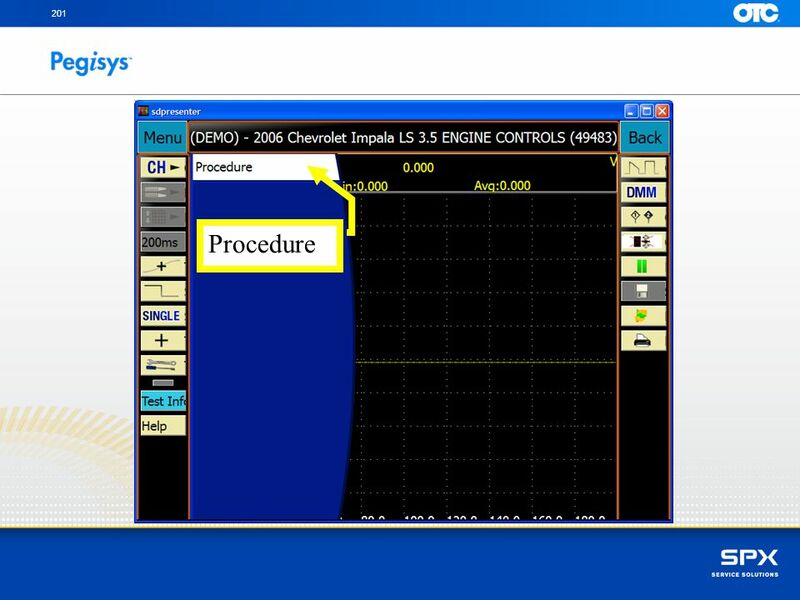 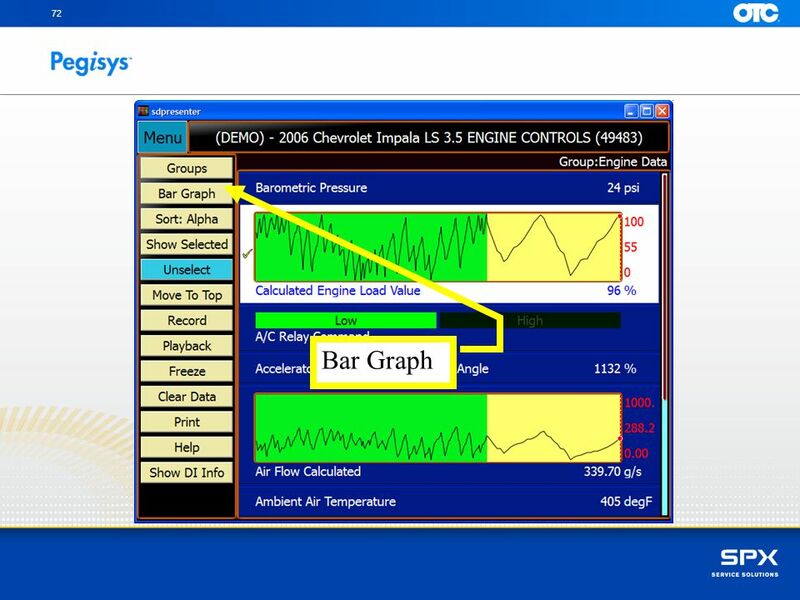 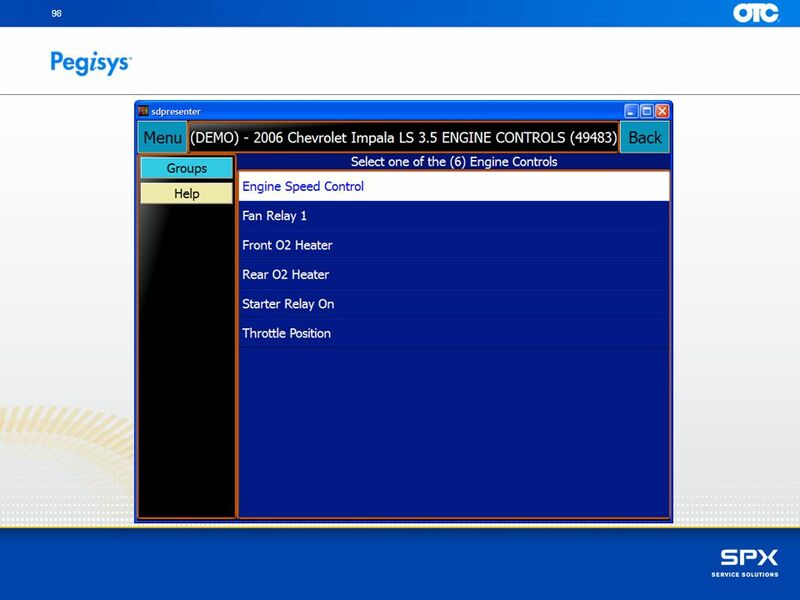 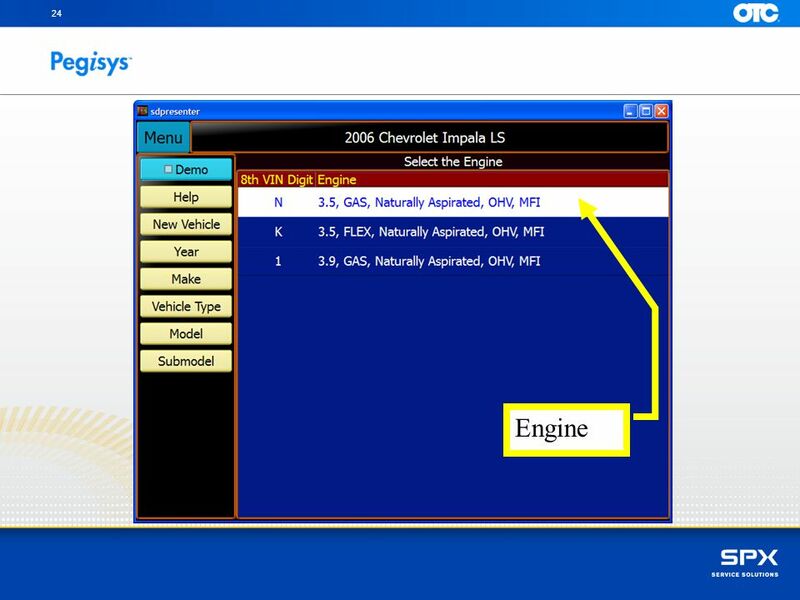 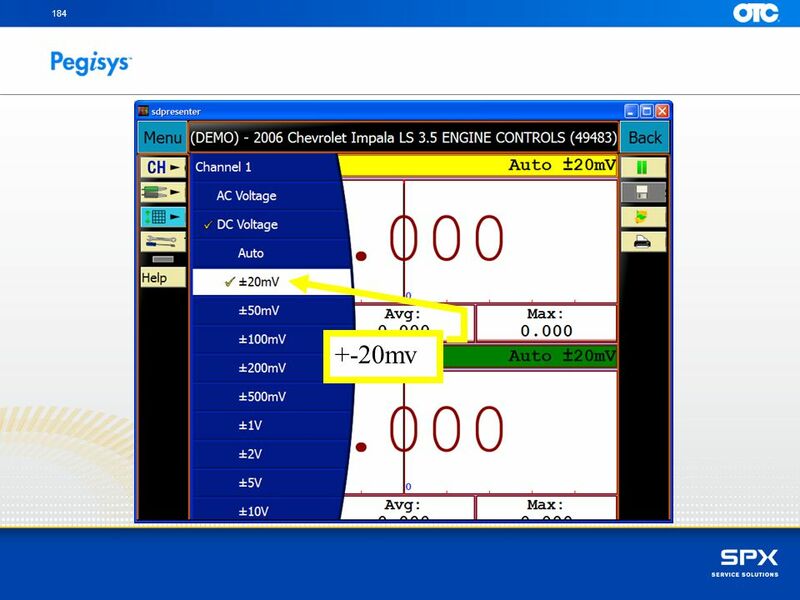 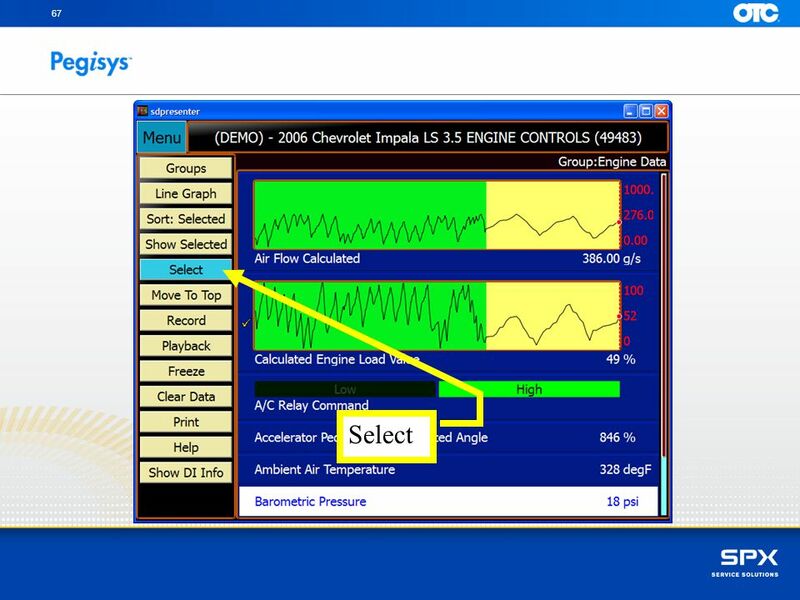 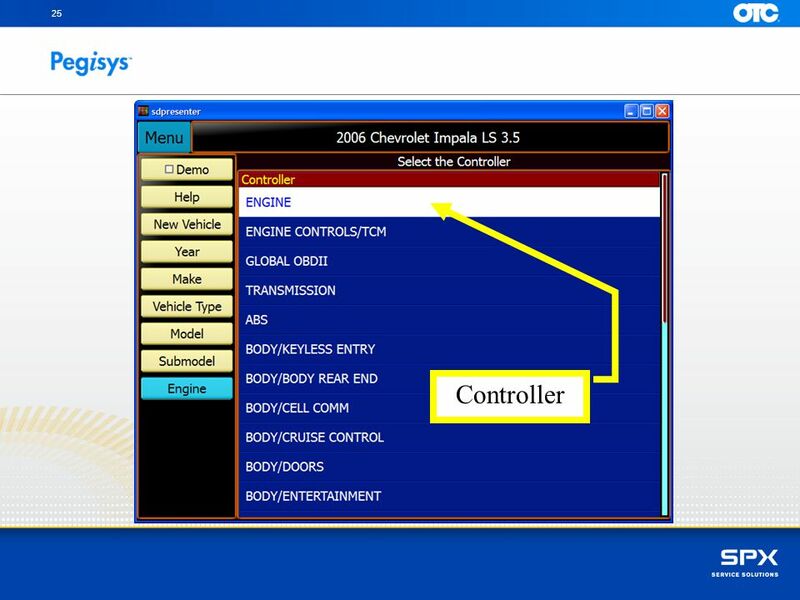 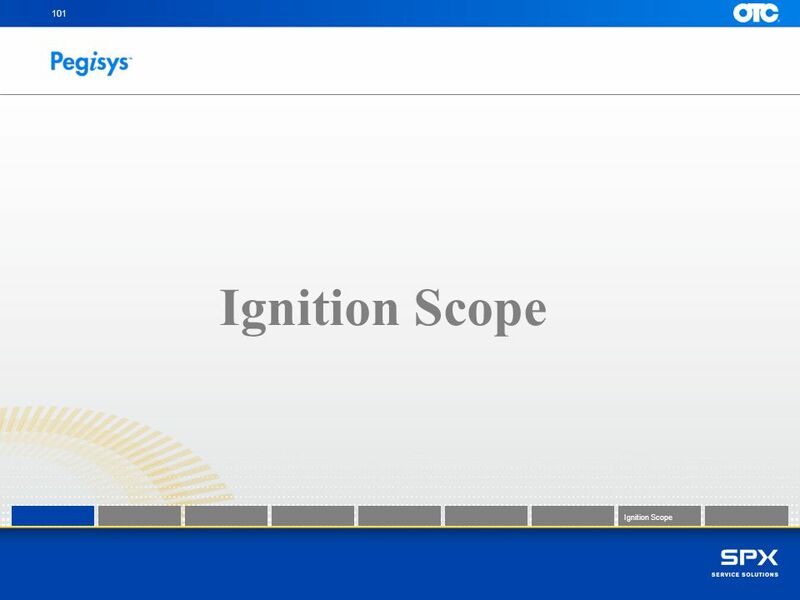 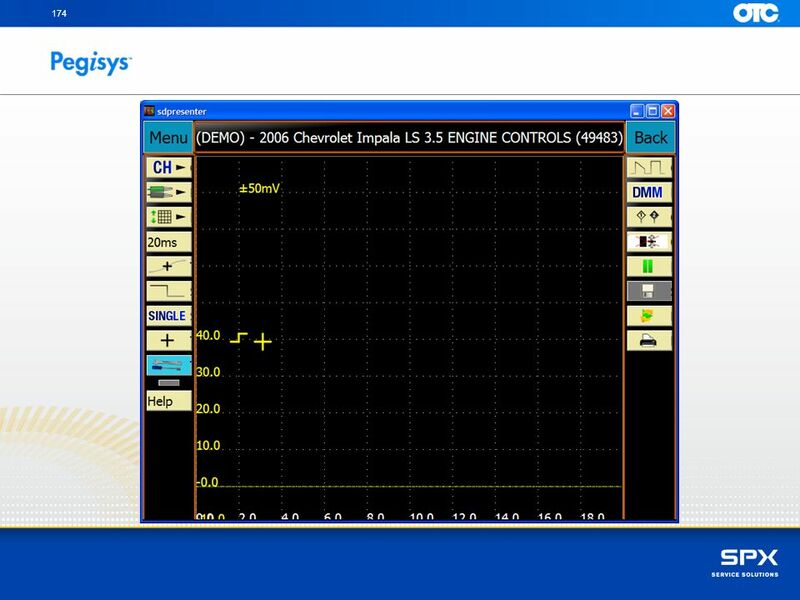 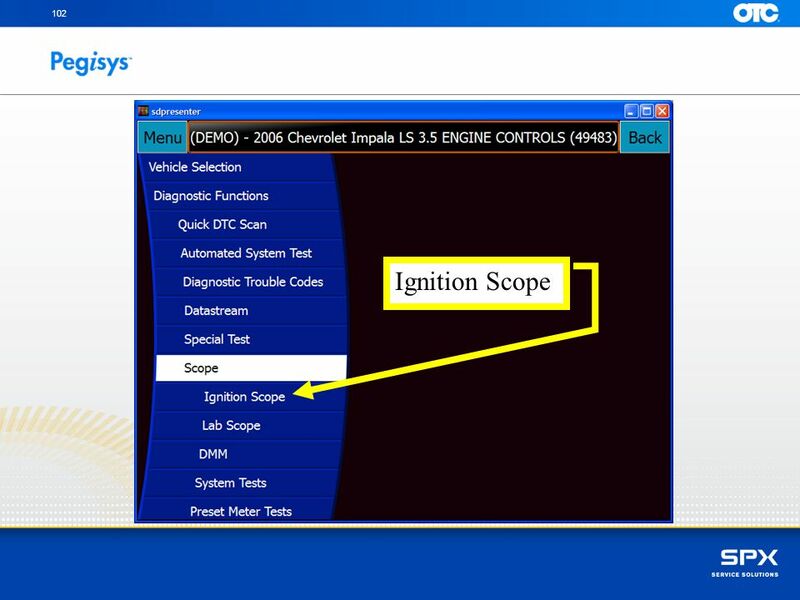 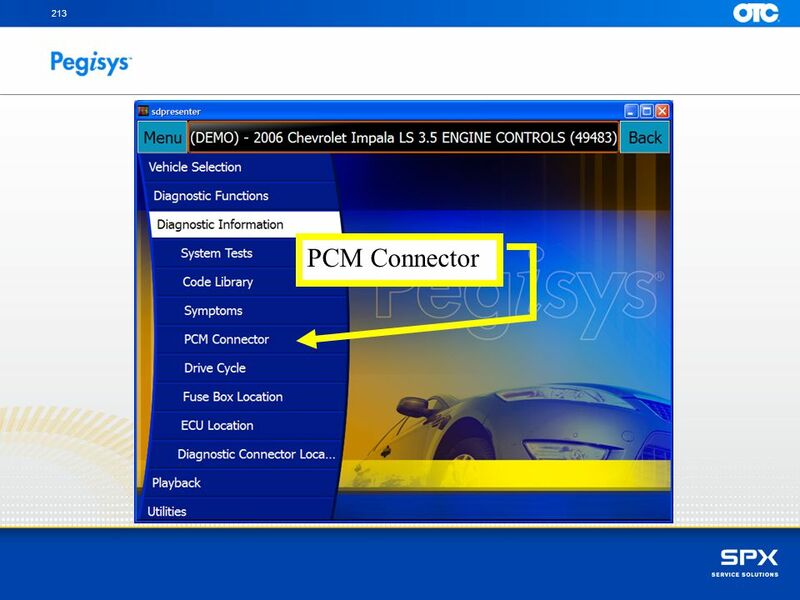 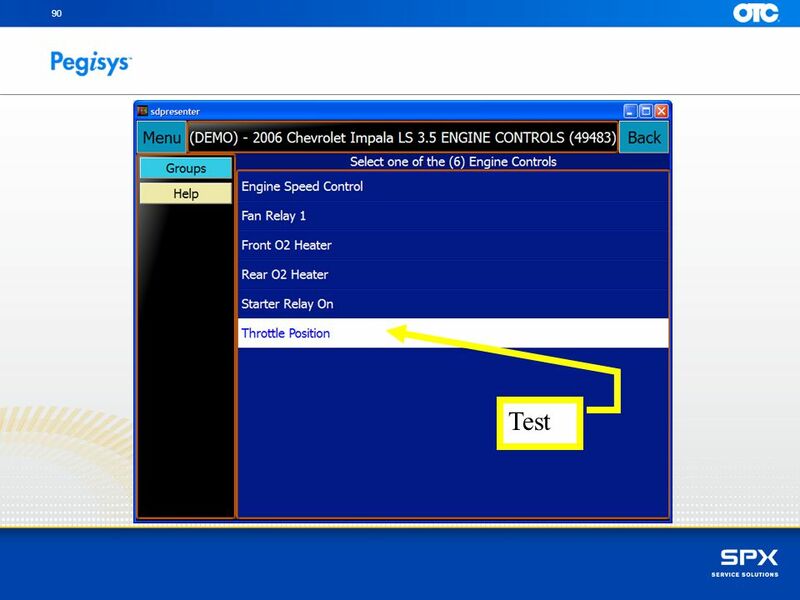 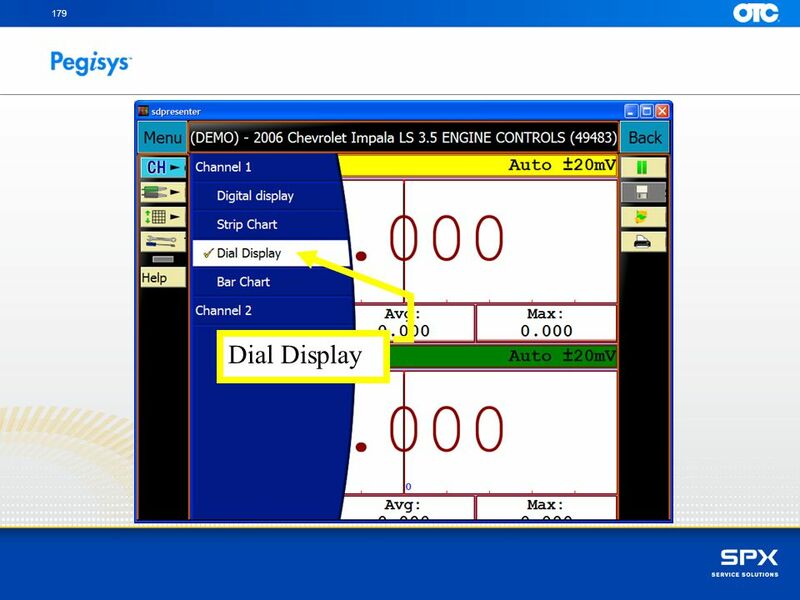 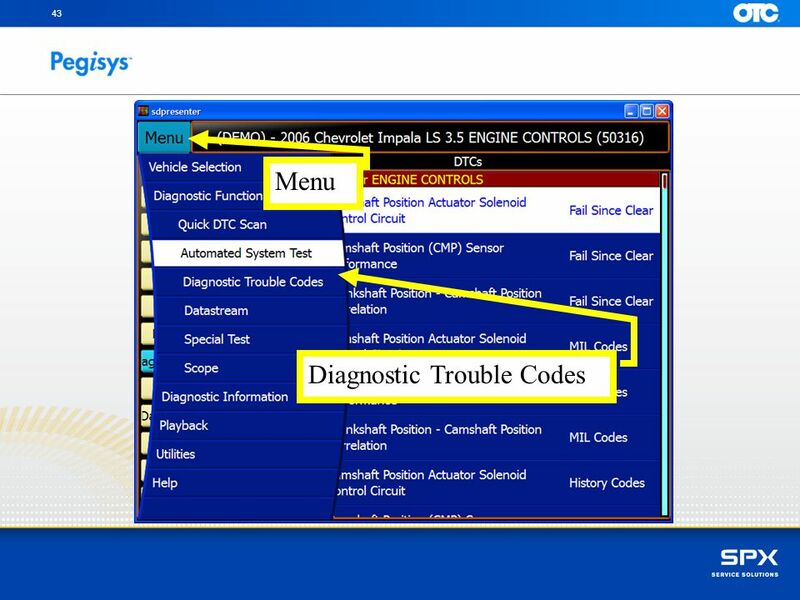 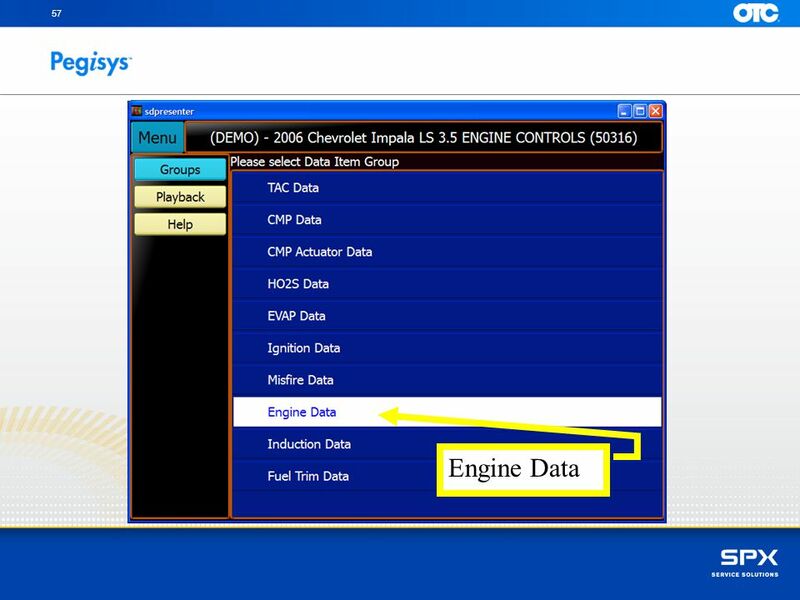 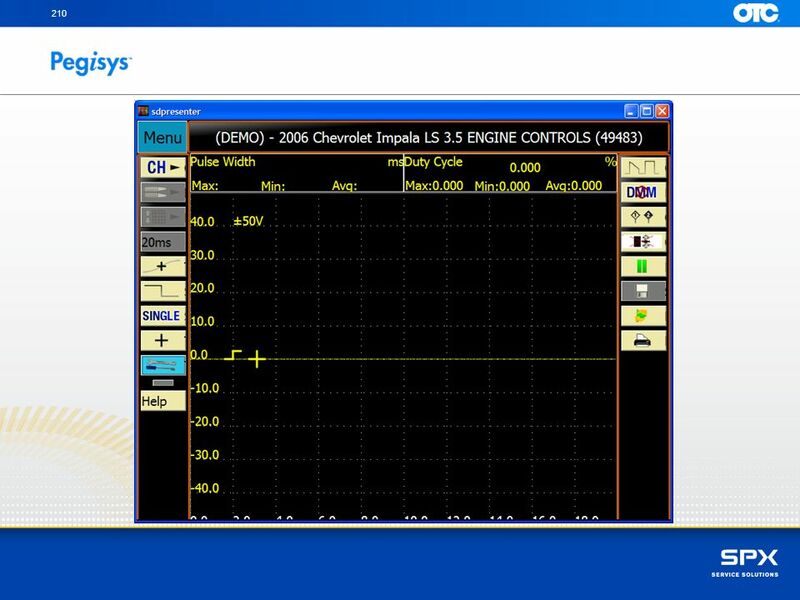 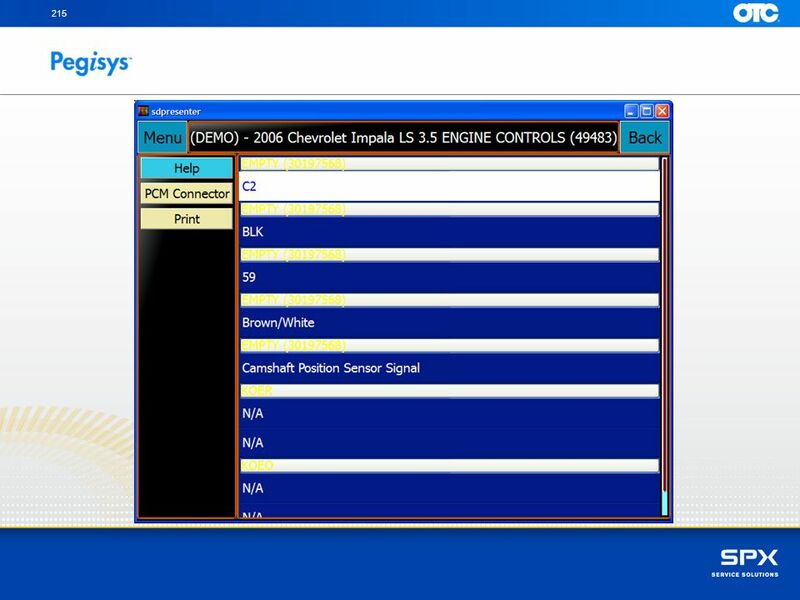 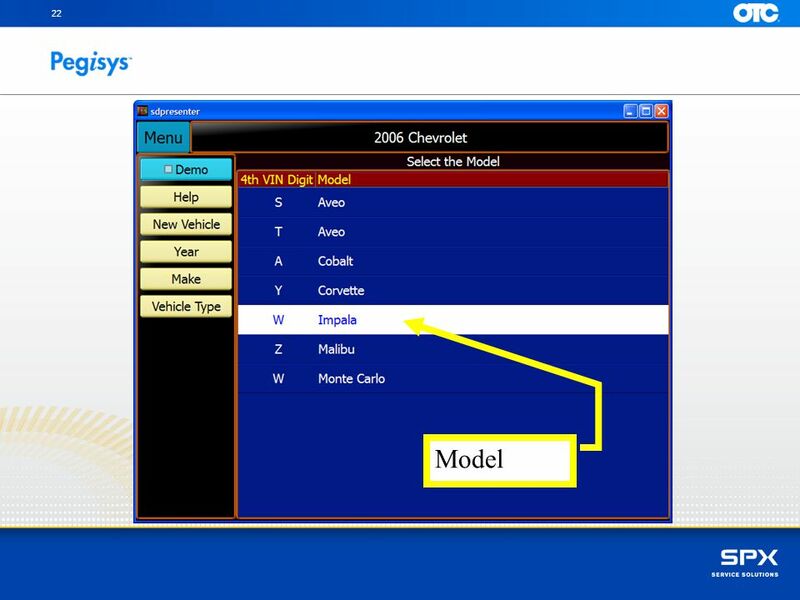 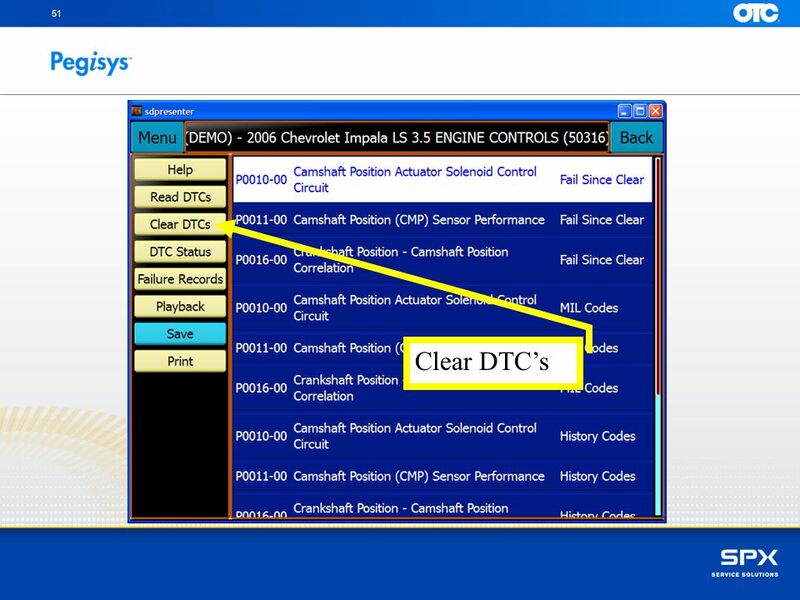 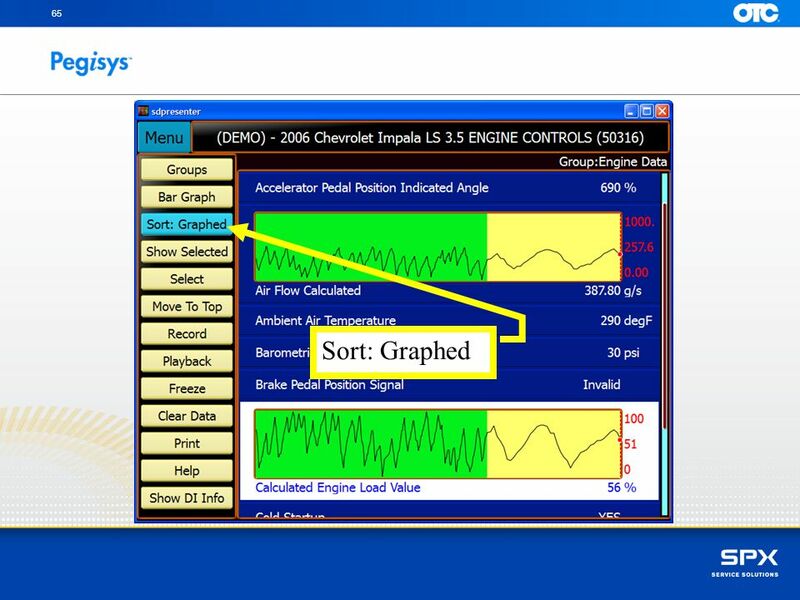 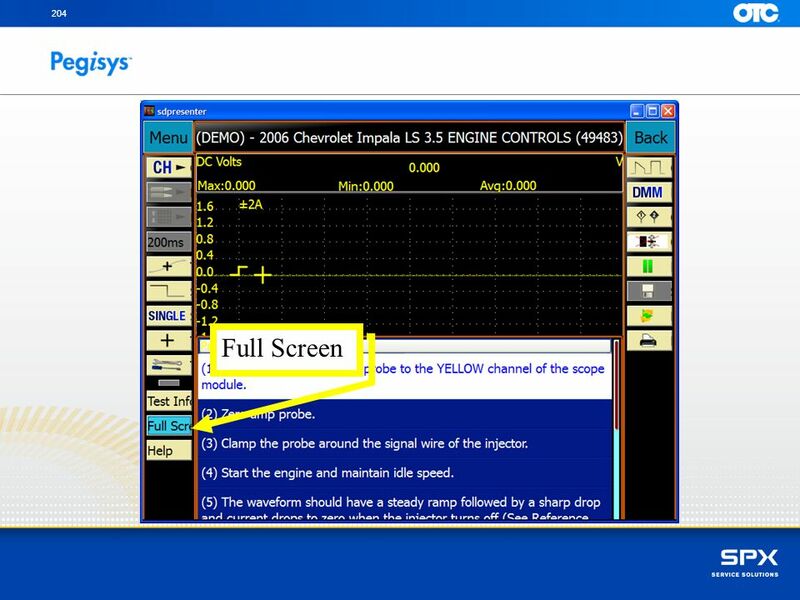 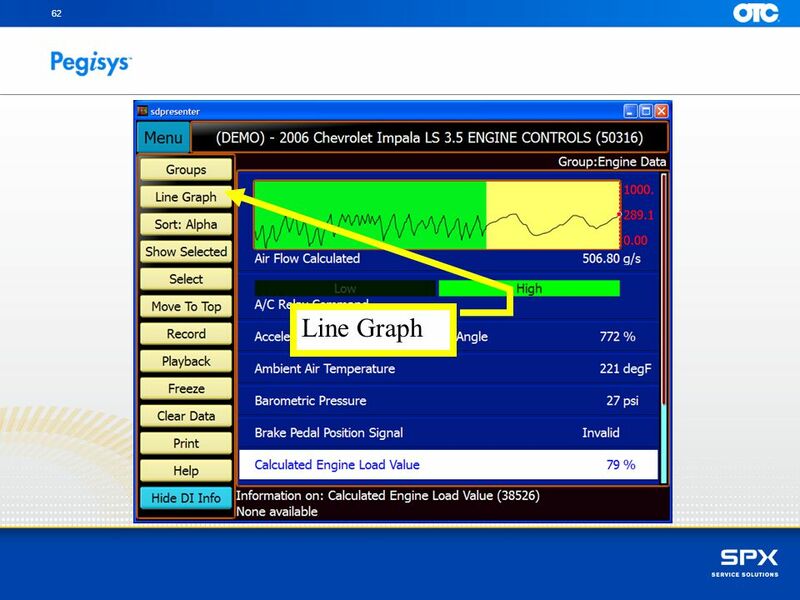 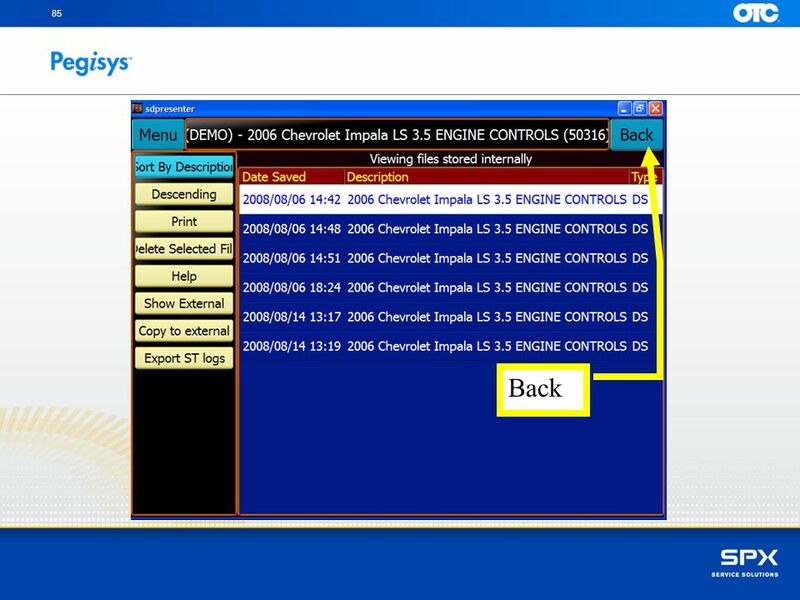 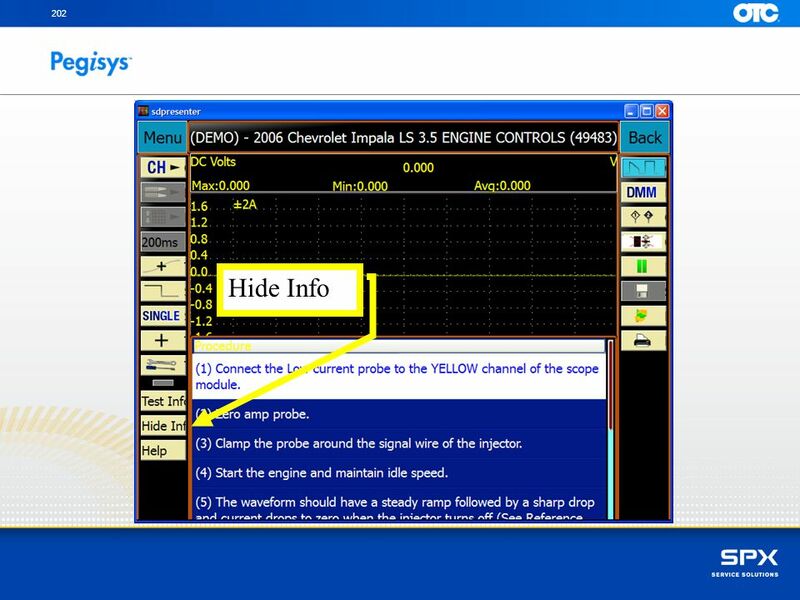 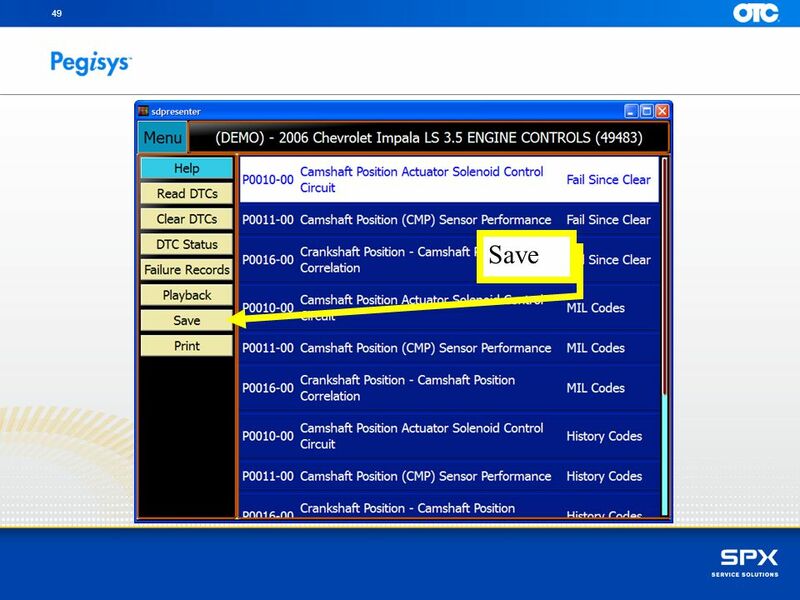 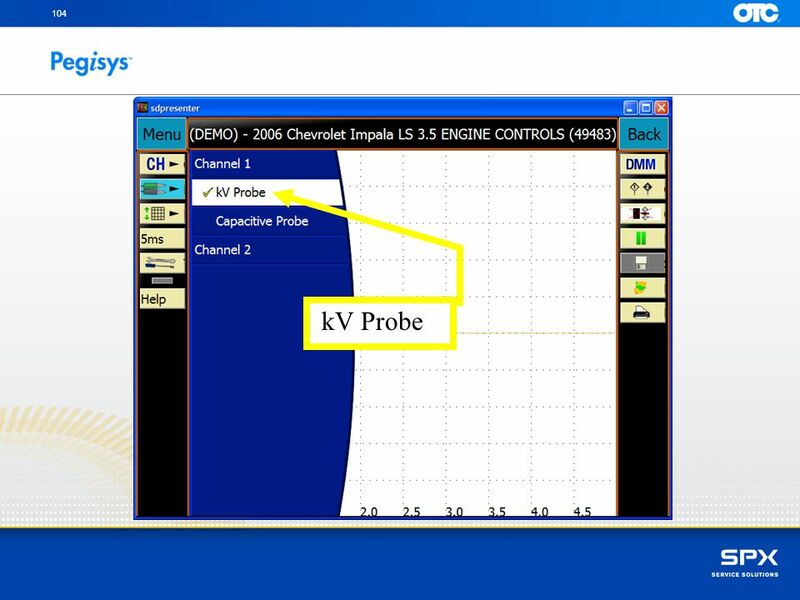 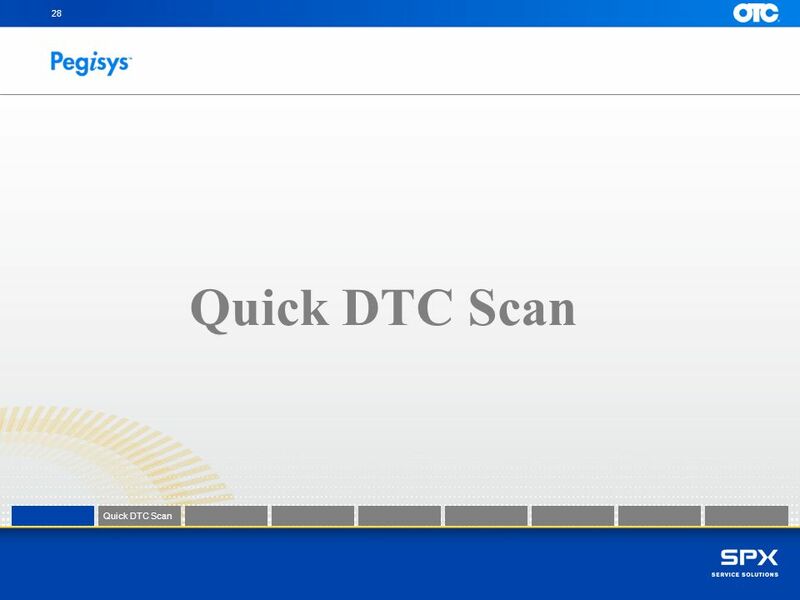 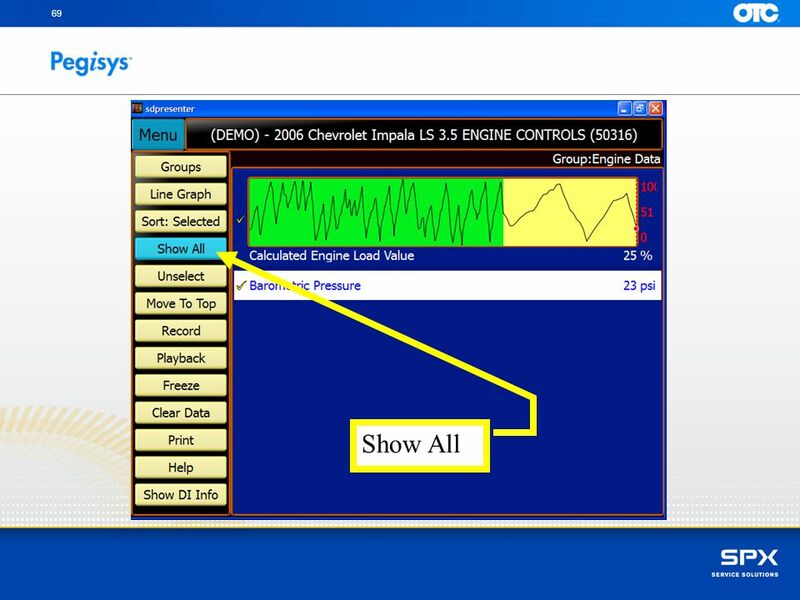 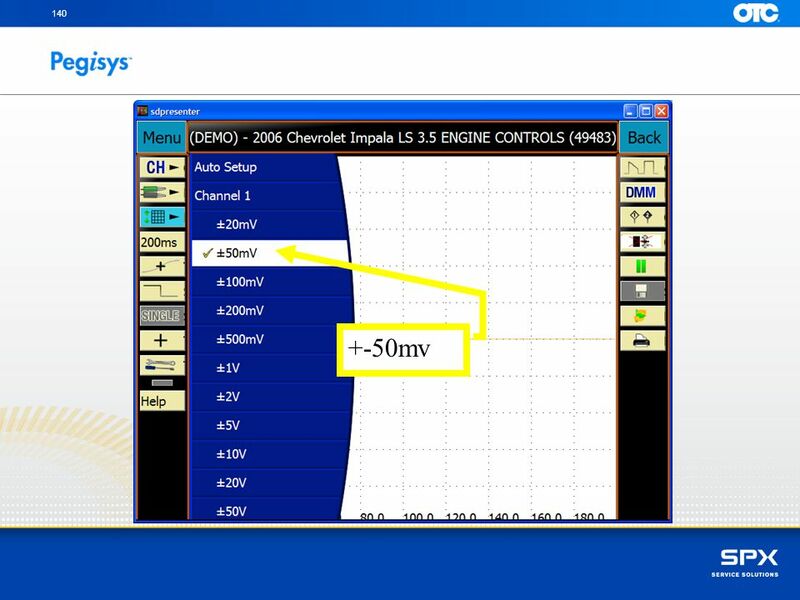 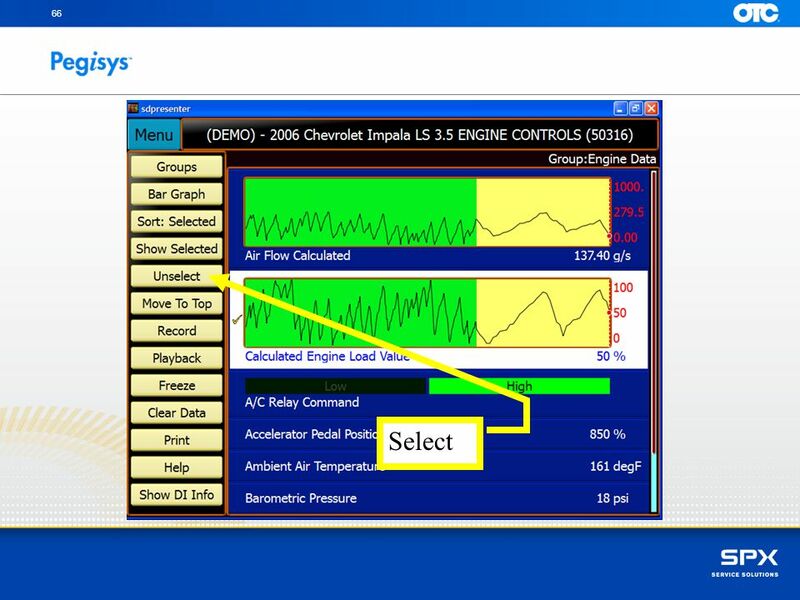 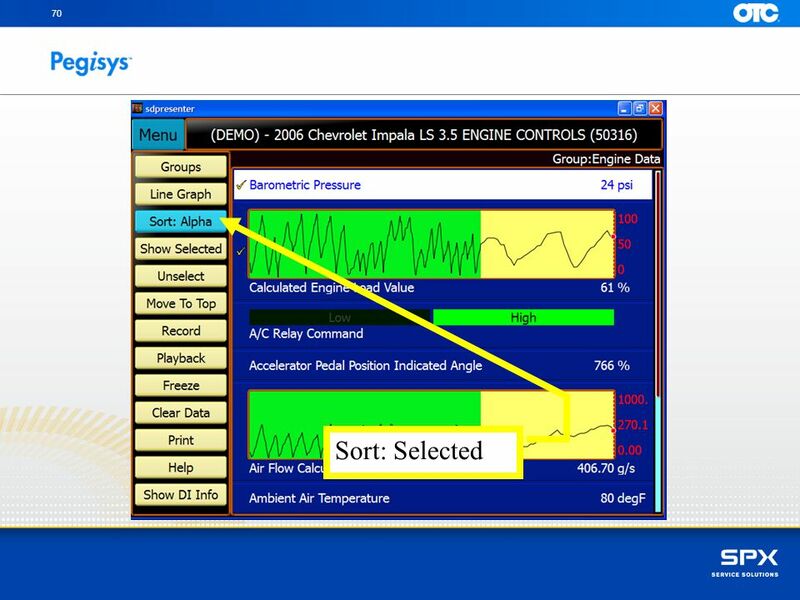 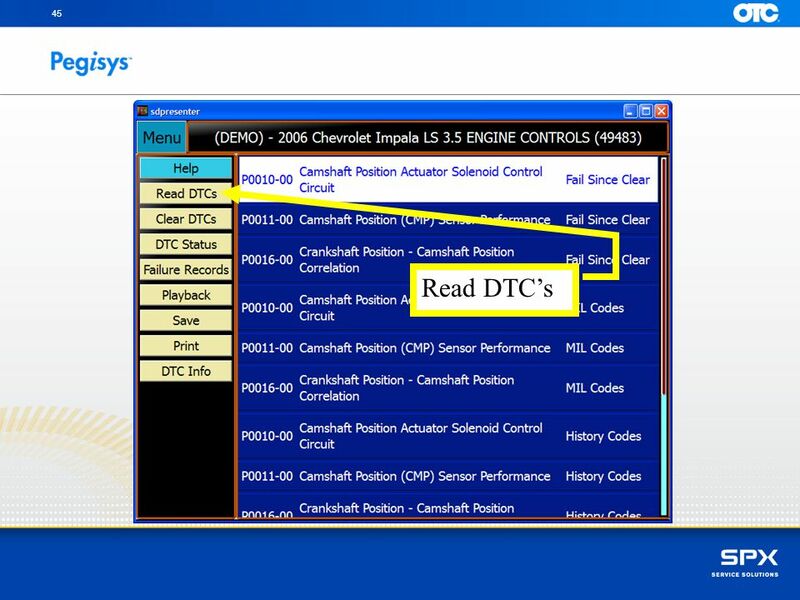 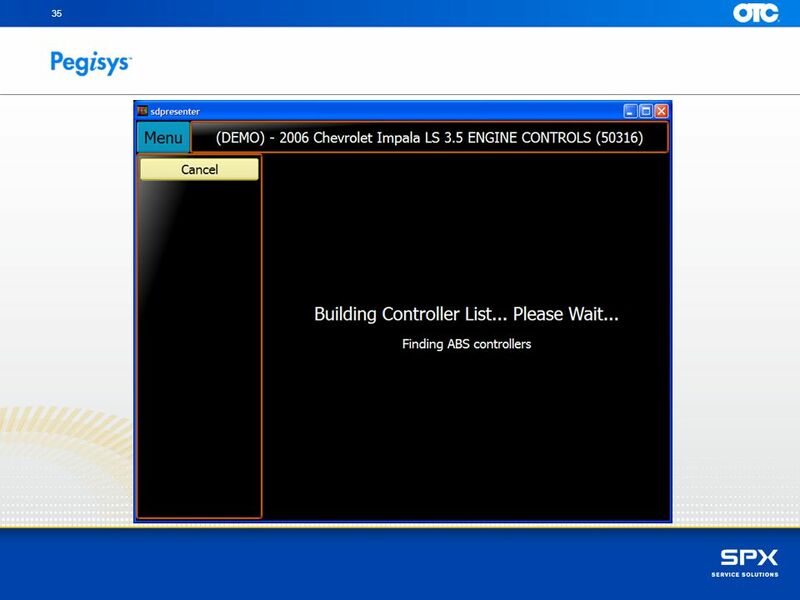 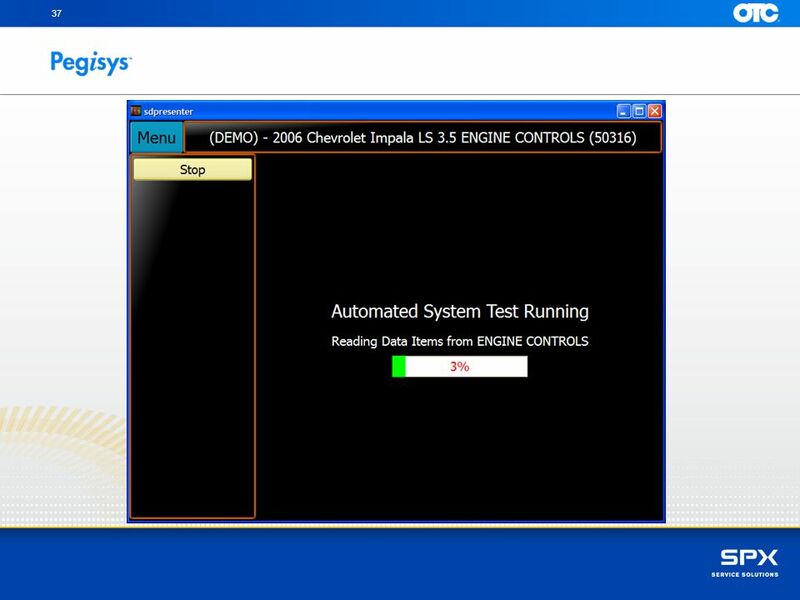 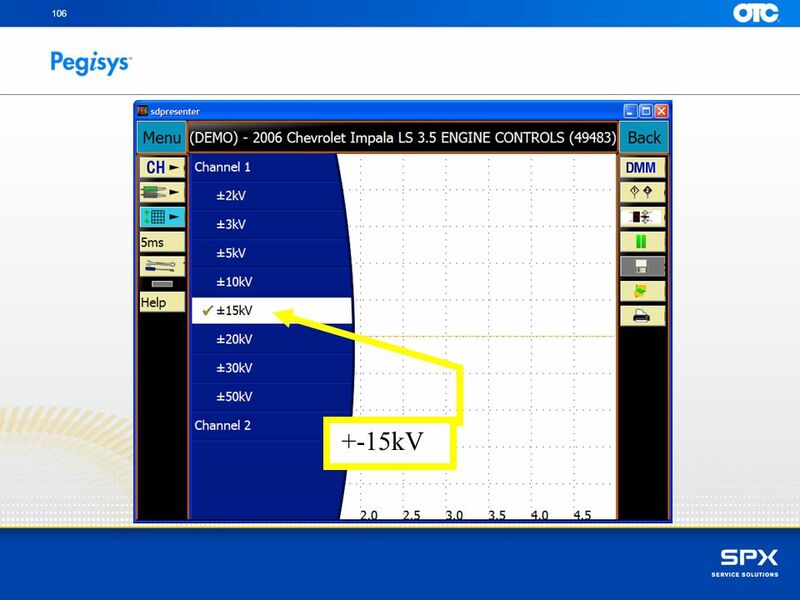 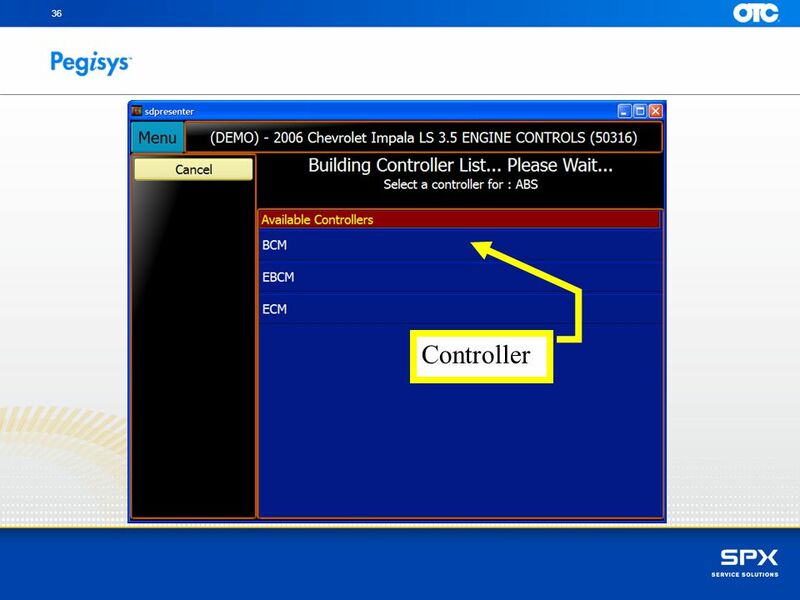 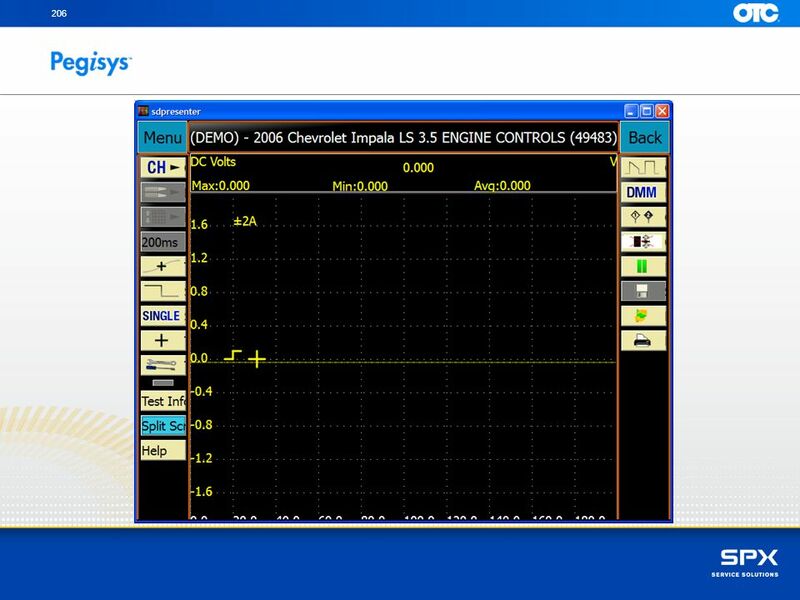 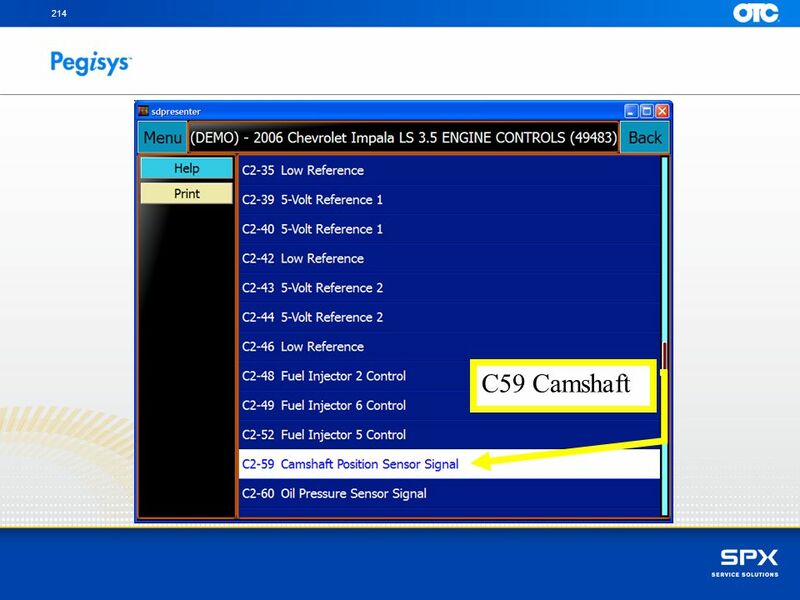 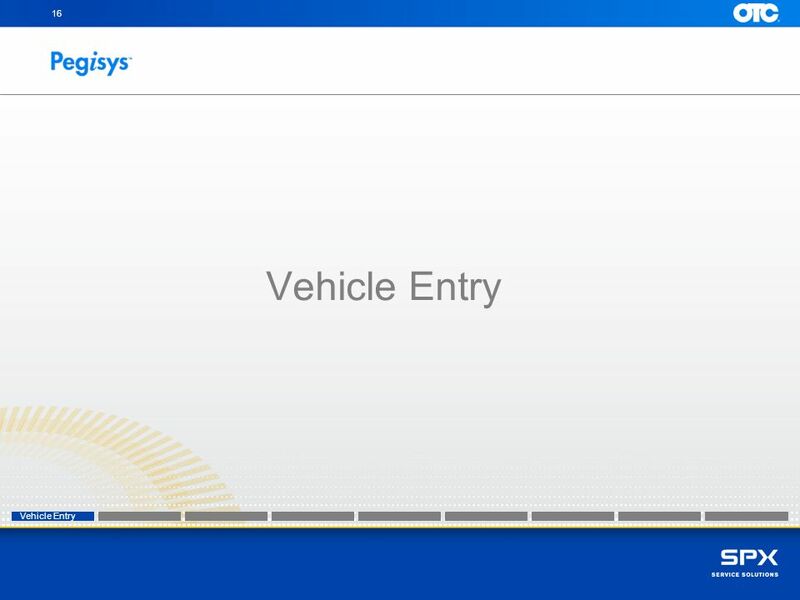 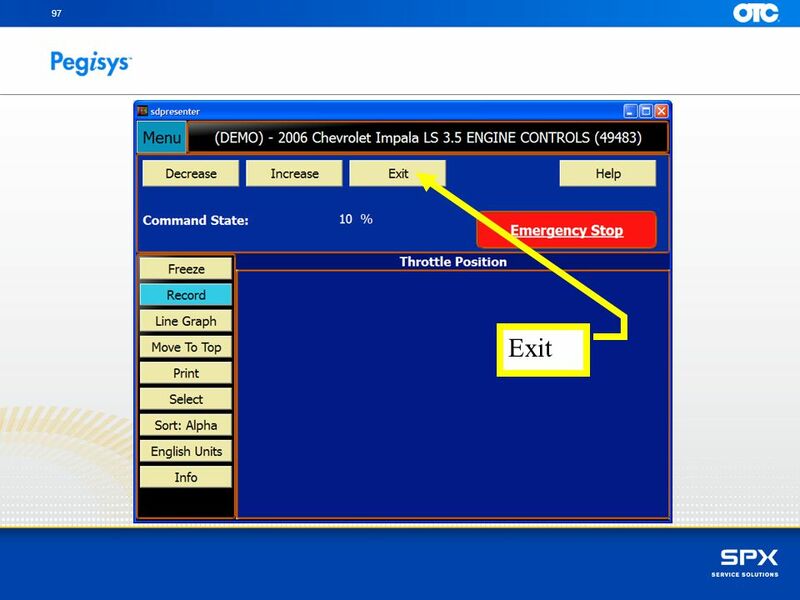 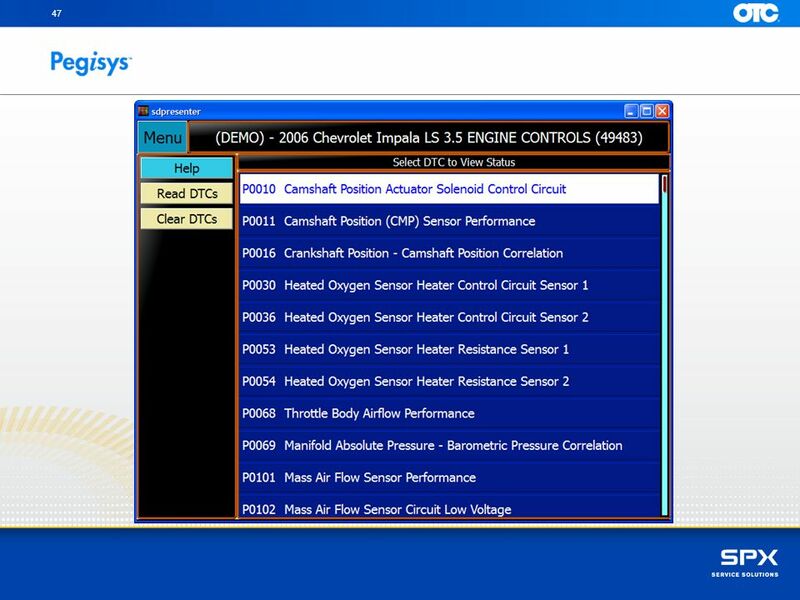 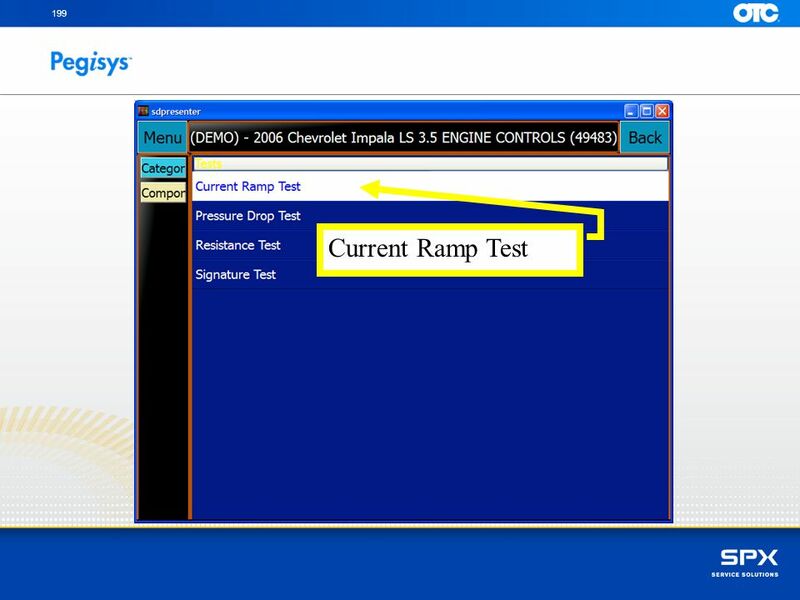 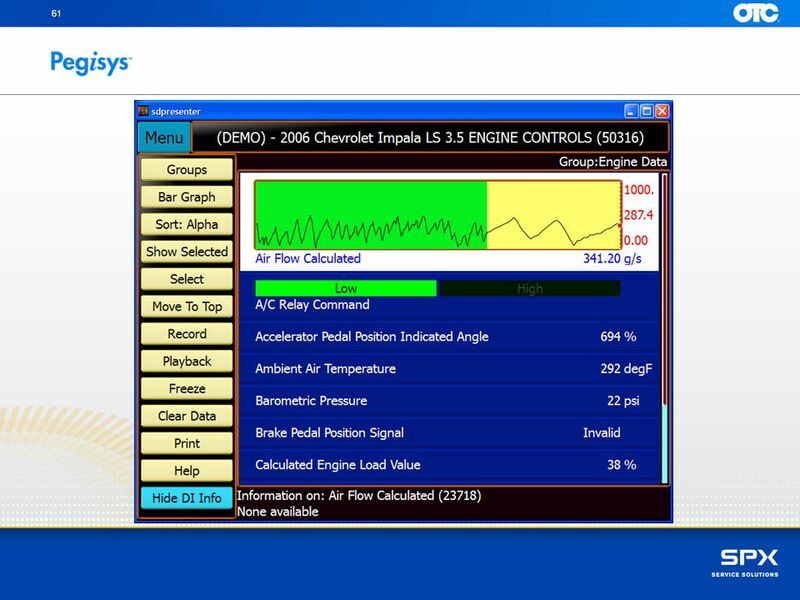 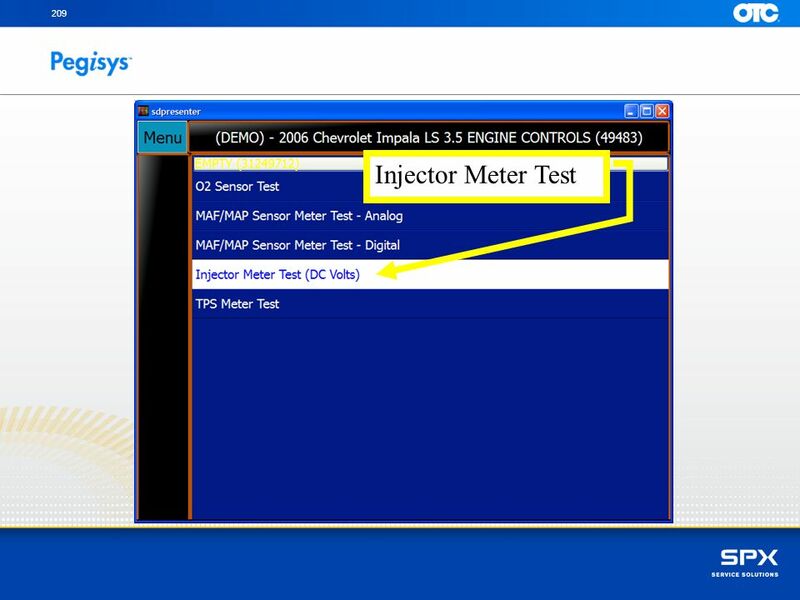 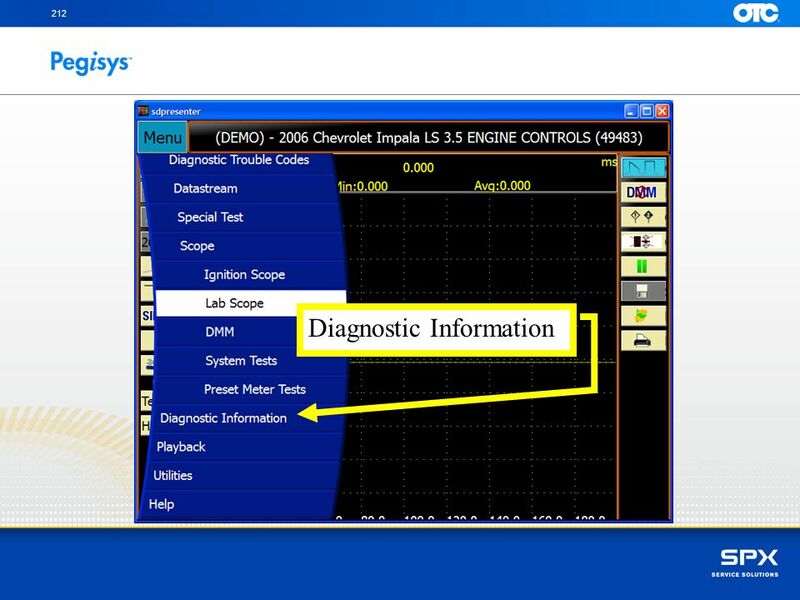 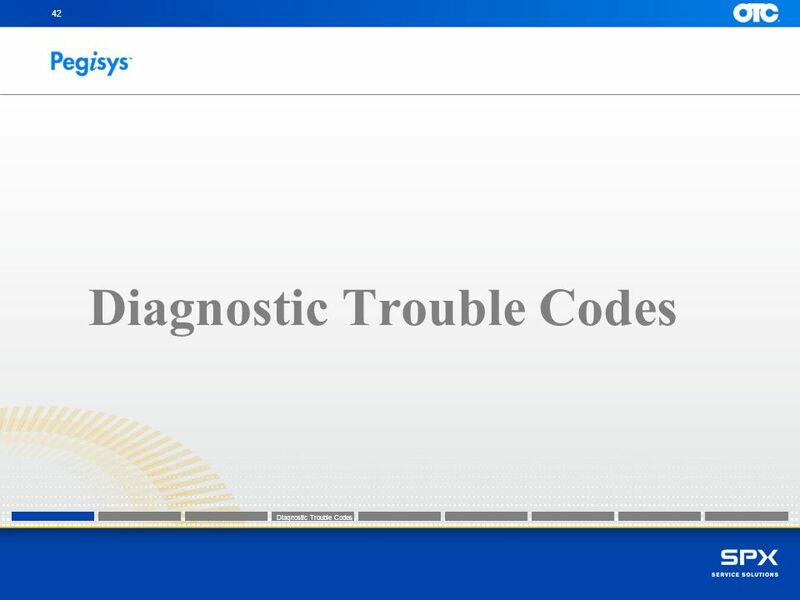 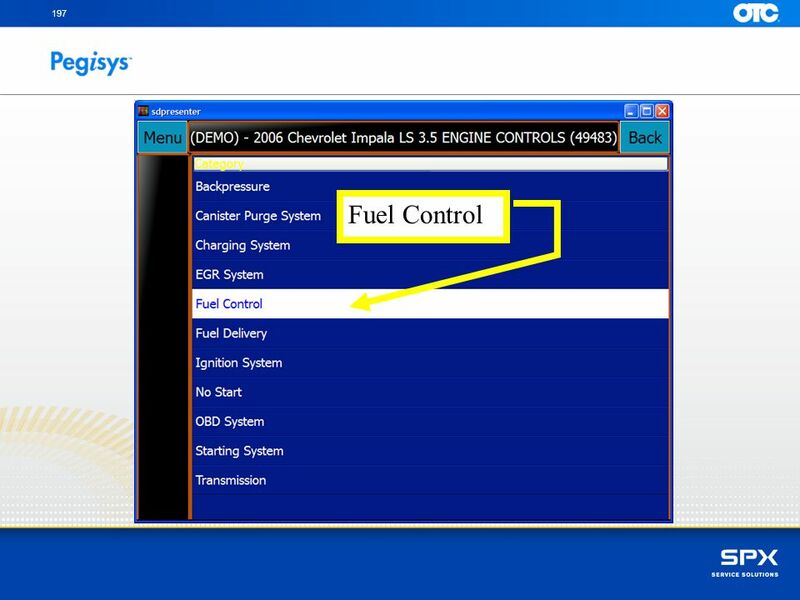 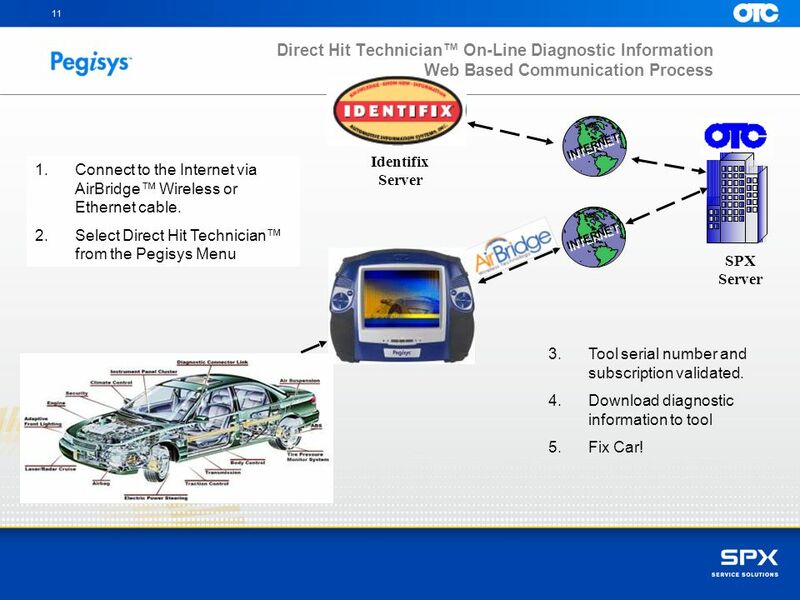 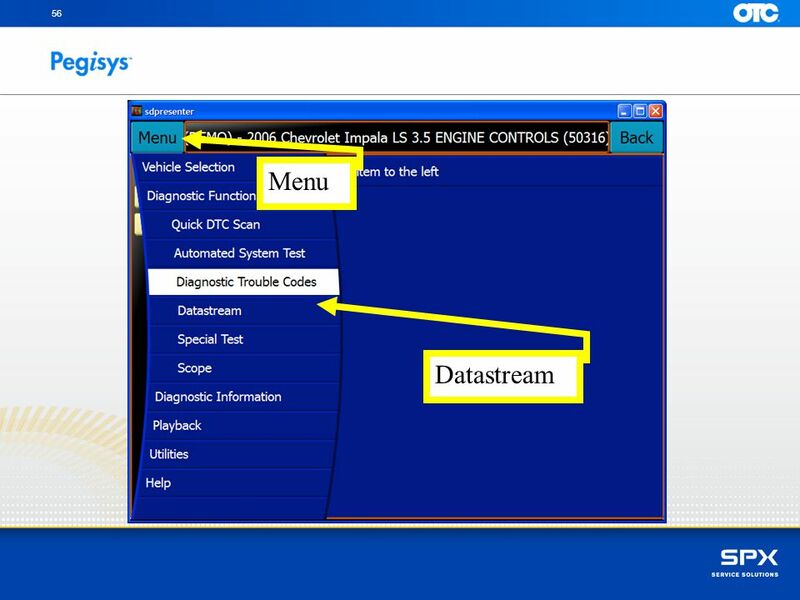 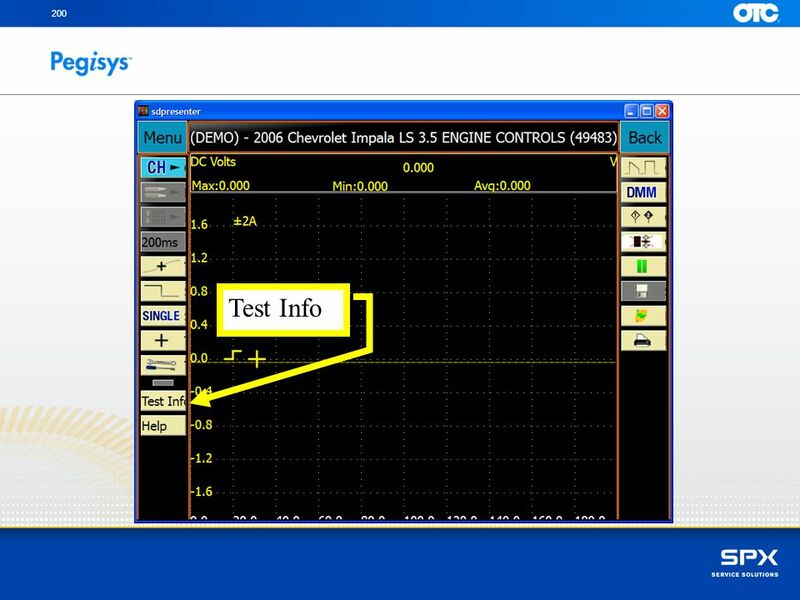 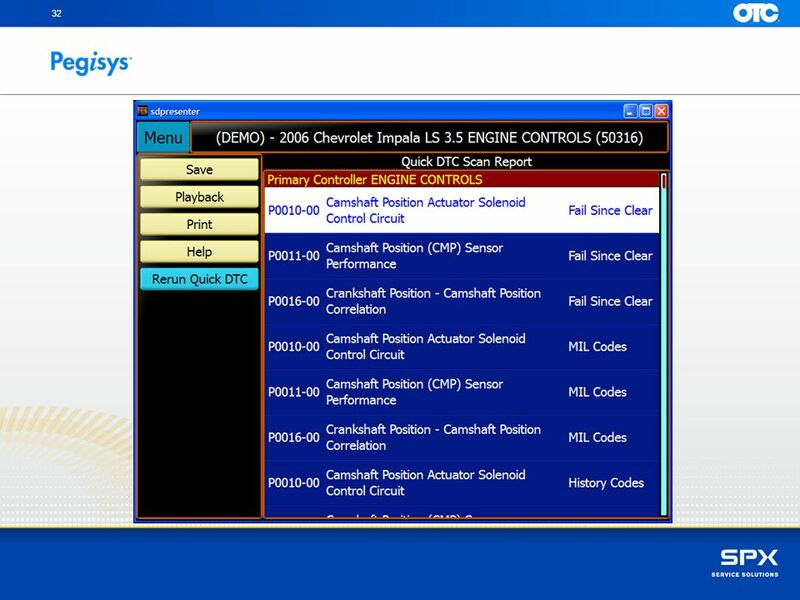 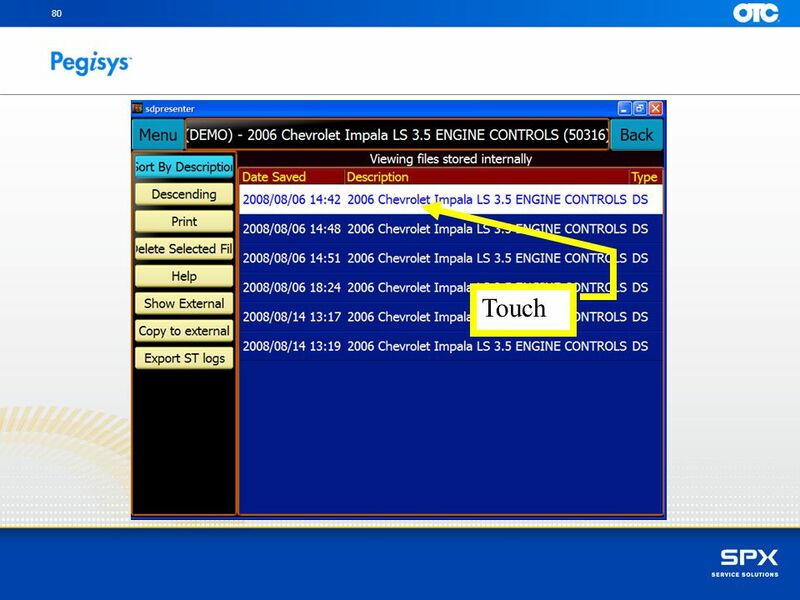 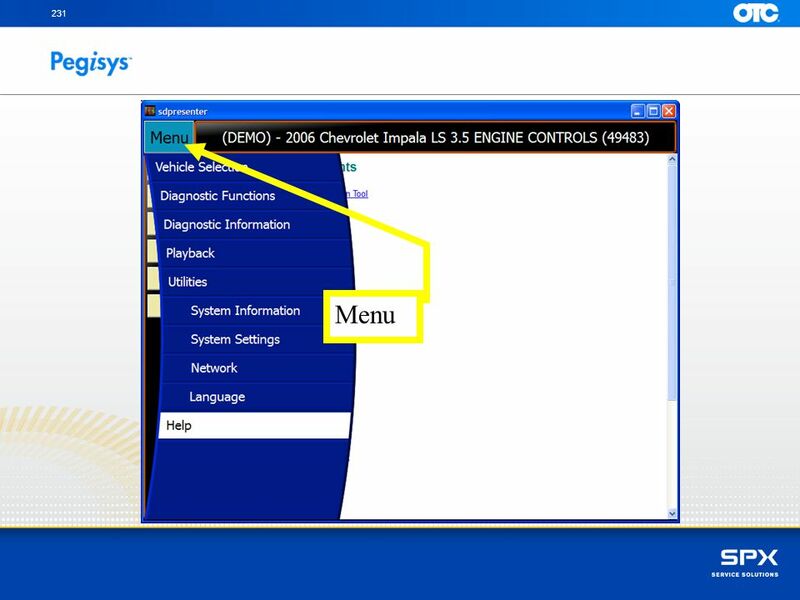 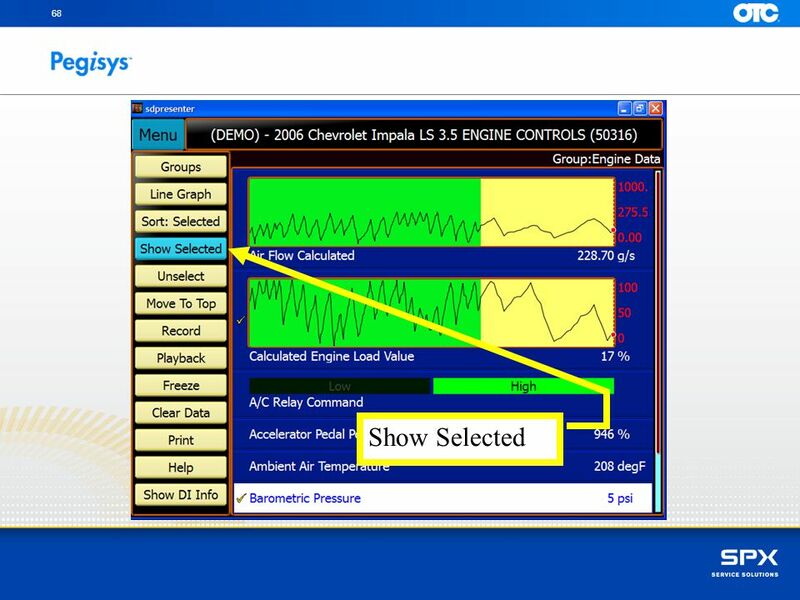 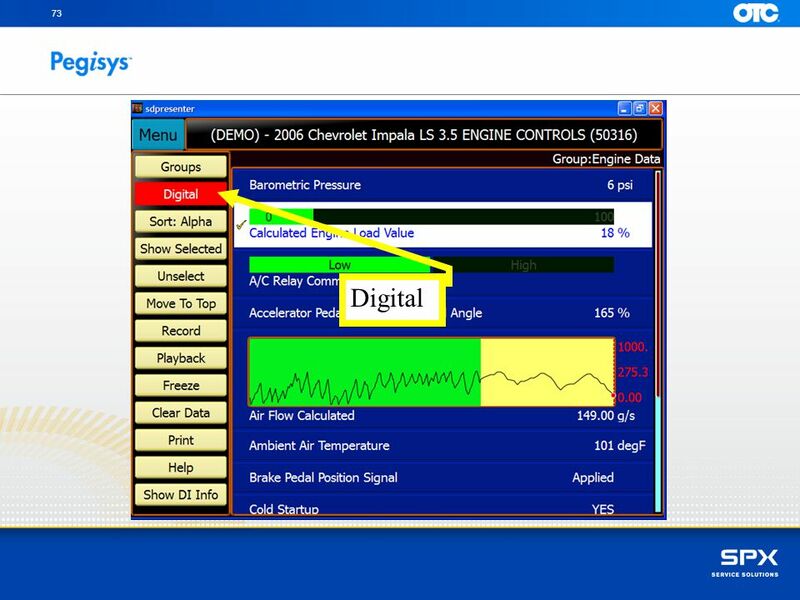 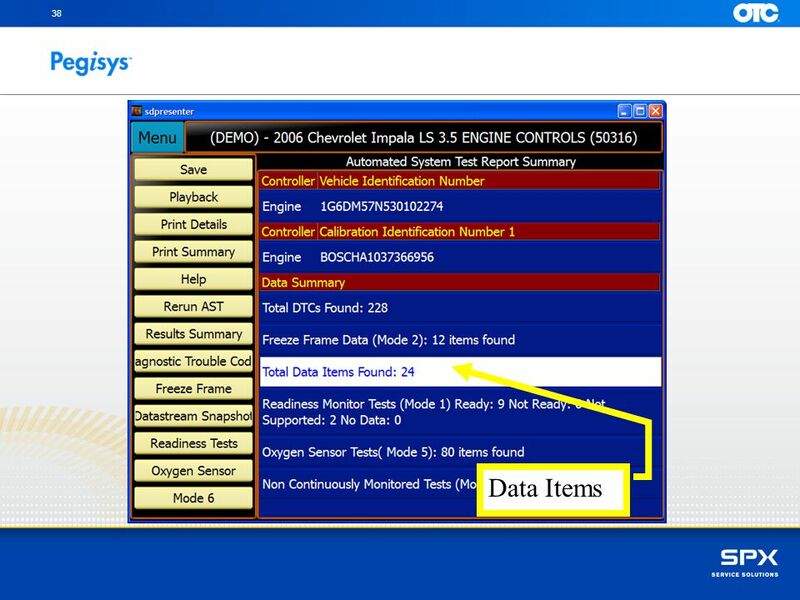 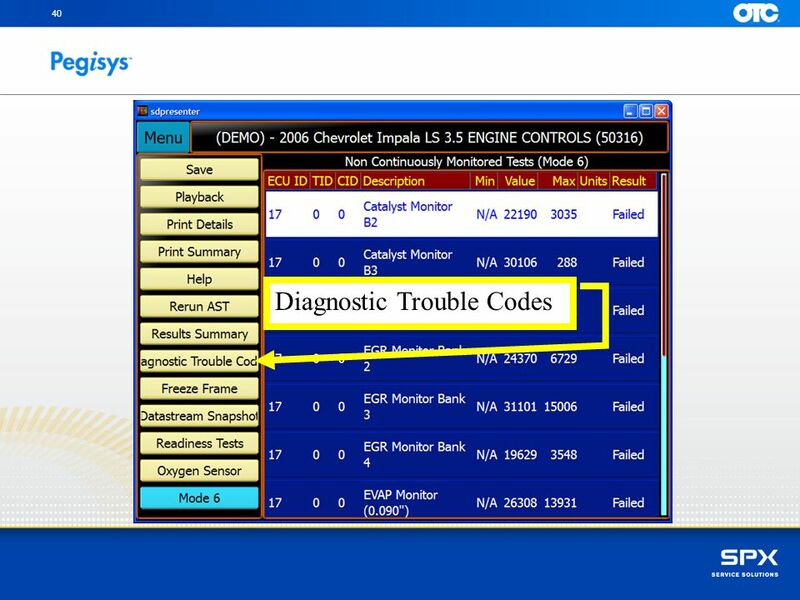 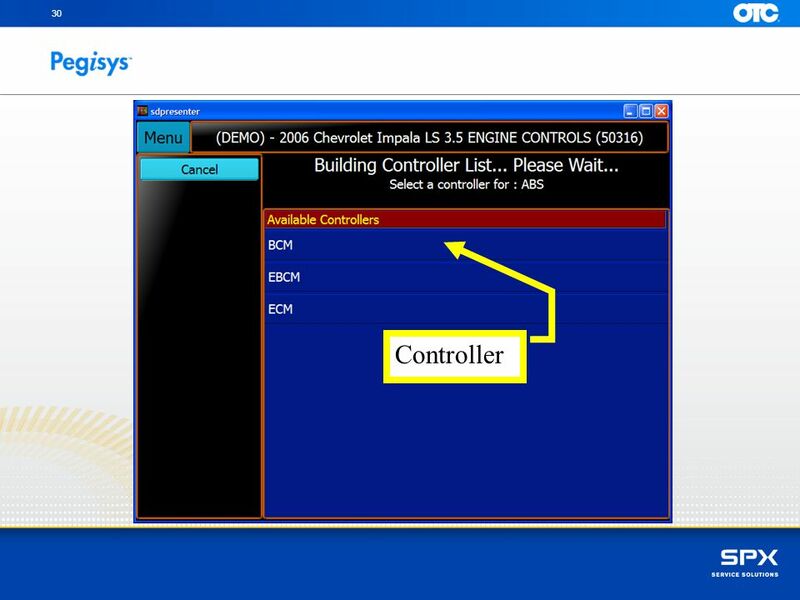 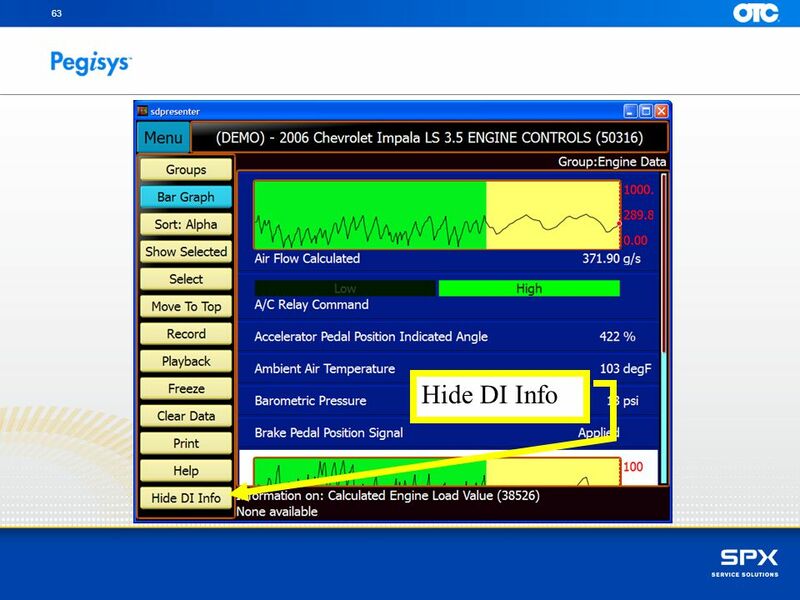 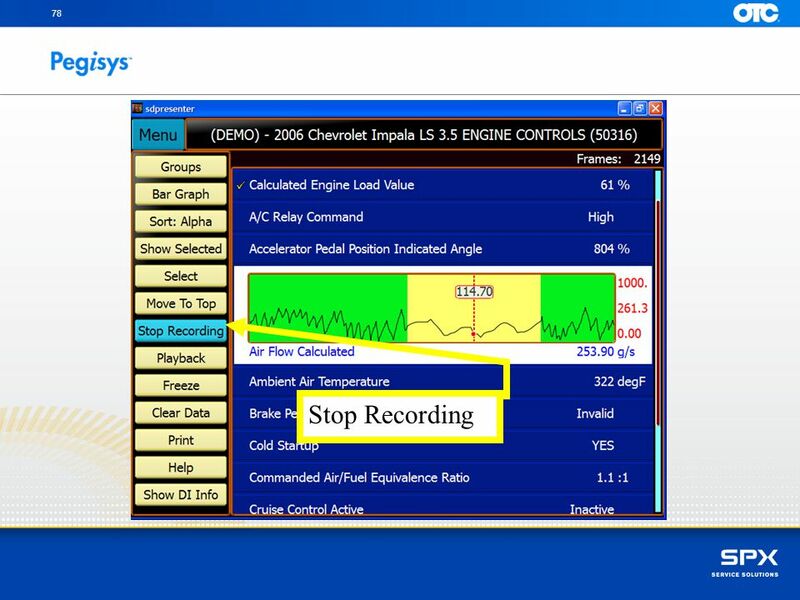 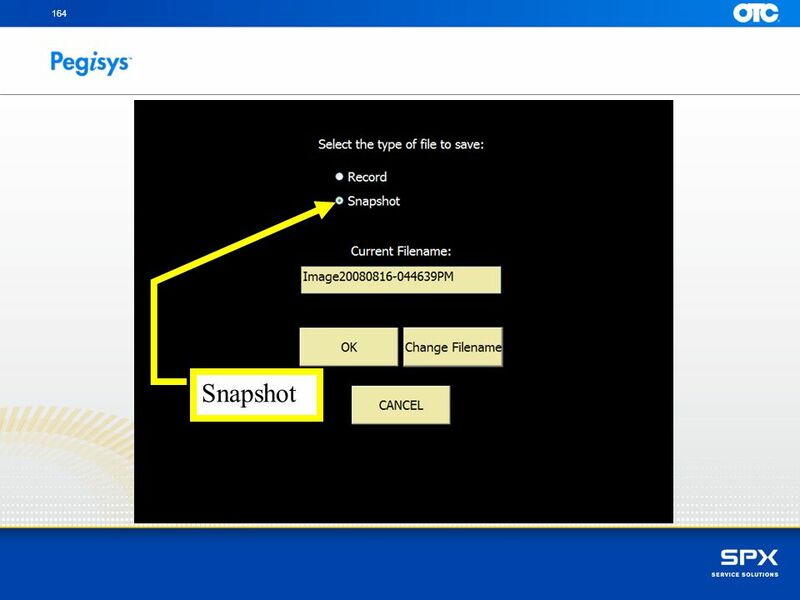 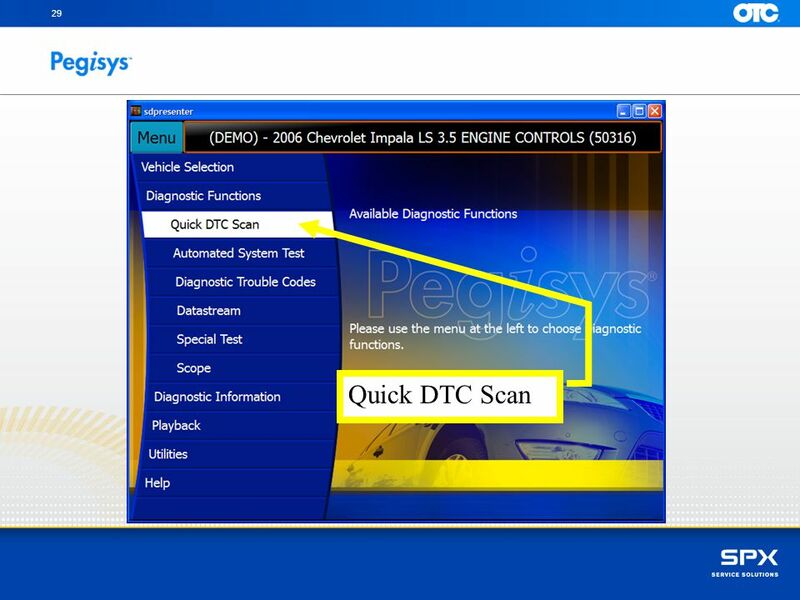 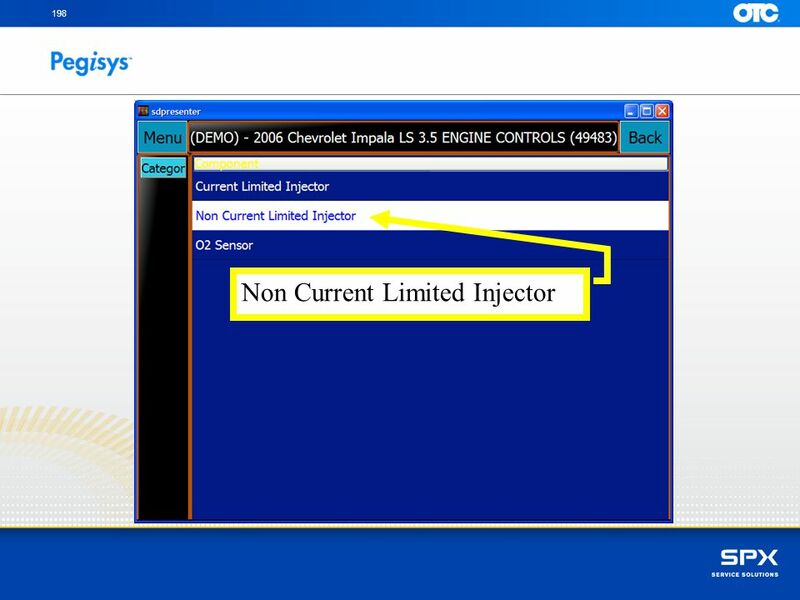 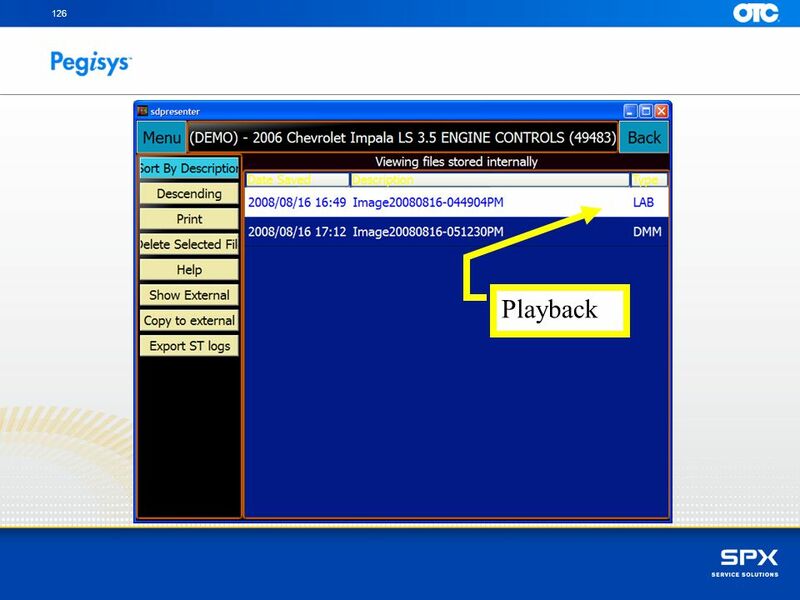 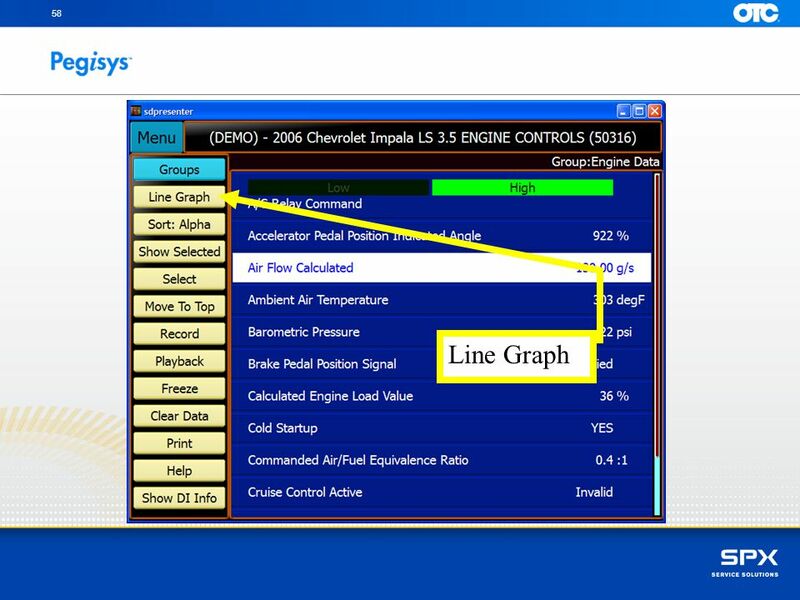 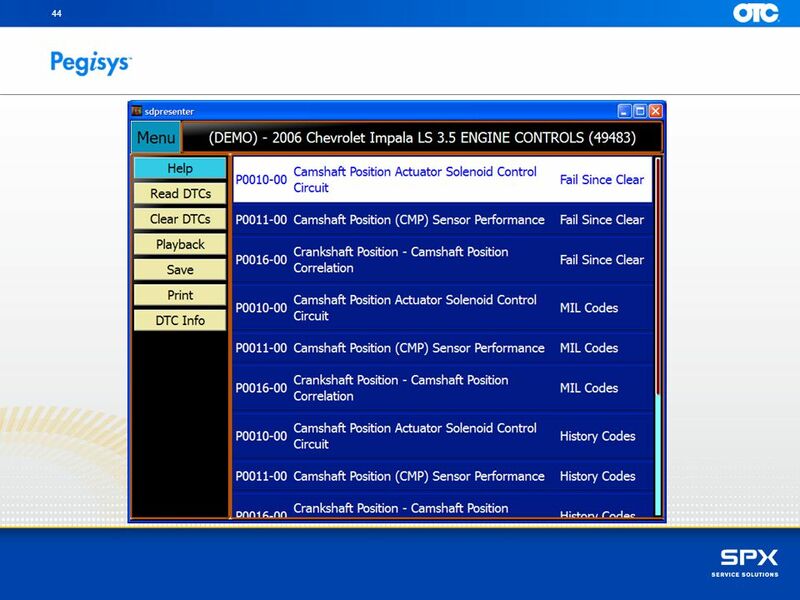 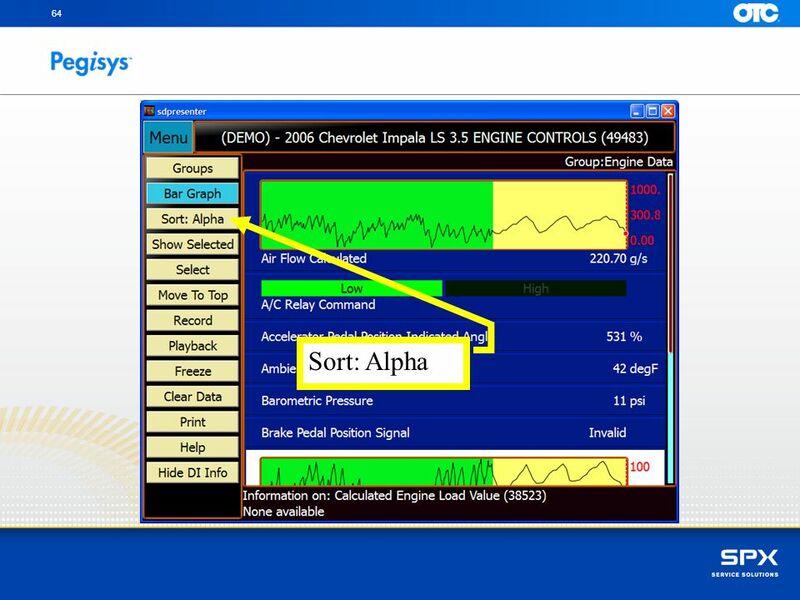 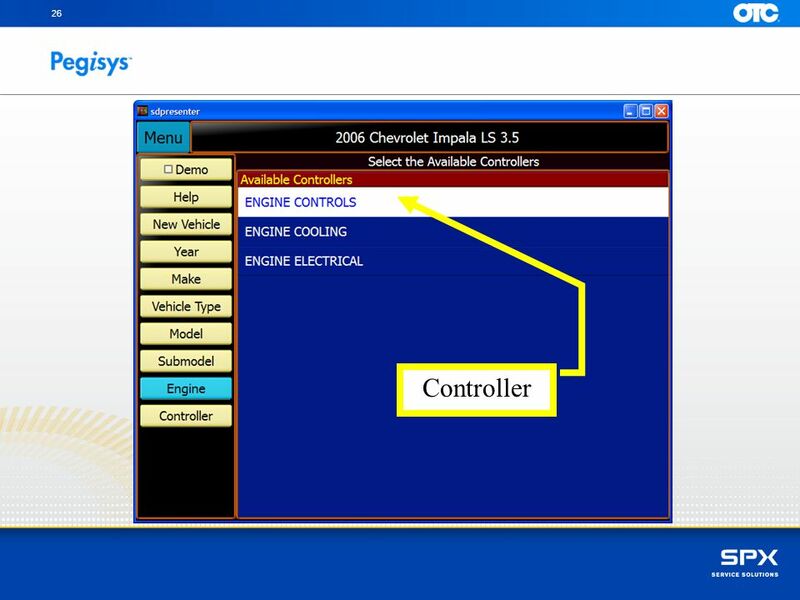 Chapter 18 On-Board Diagnostics and Scan Tools. 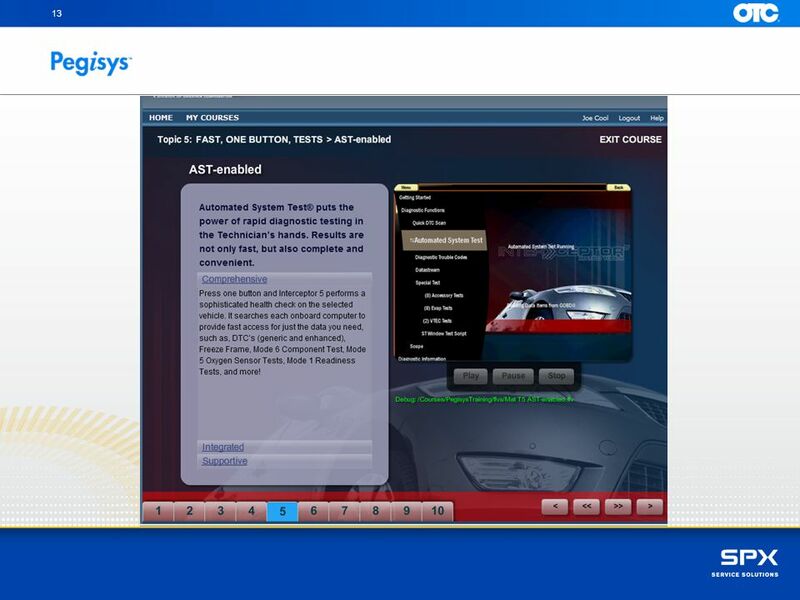 Ashmore Hall Auditorium --- Room 119 “Smart Classroom” System Overview & Operation Guide. 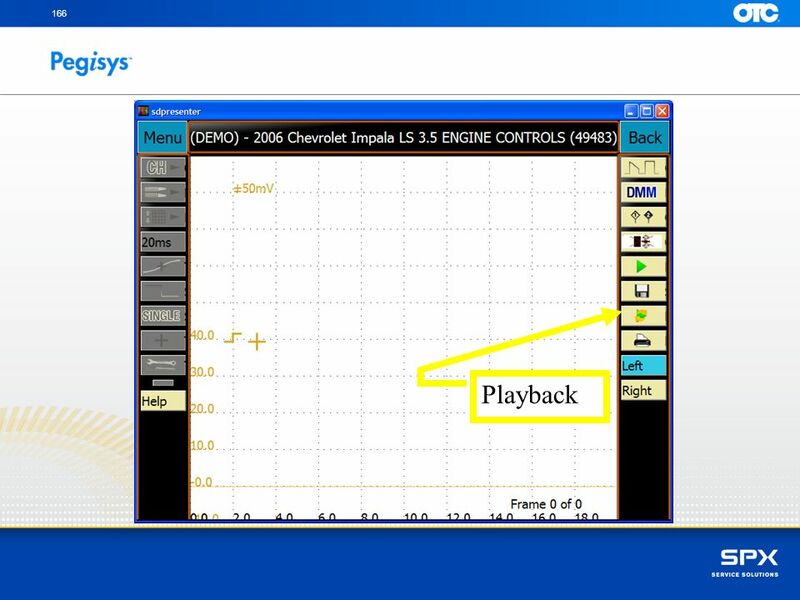 Using the camera and the wireless microphone Howard Goldbaum 9/17/2012. 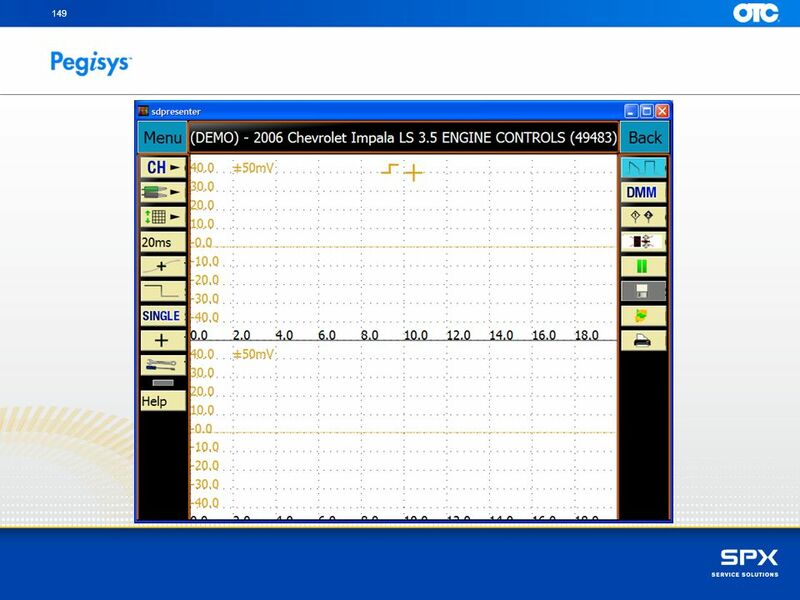 JED Microprocessors Pty Ltd Presenting the JED T430 low-cost Projector Controllers Nov 22nd, 2009. 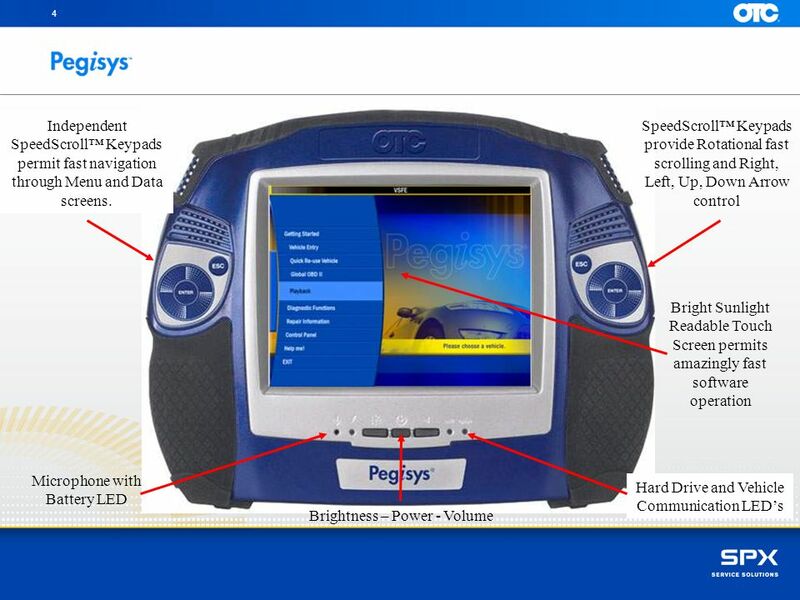 Psion Teklogix 7535 Handheld Computer. 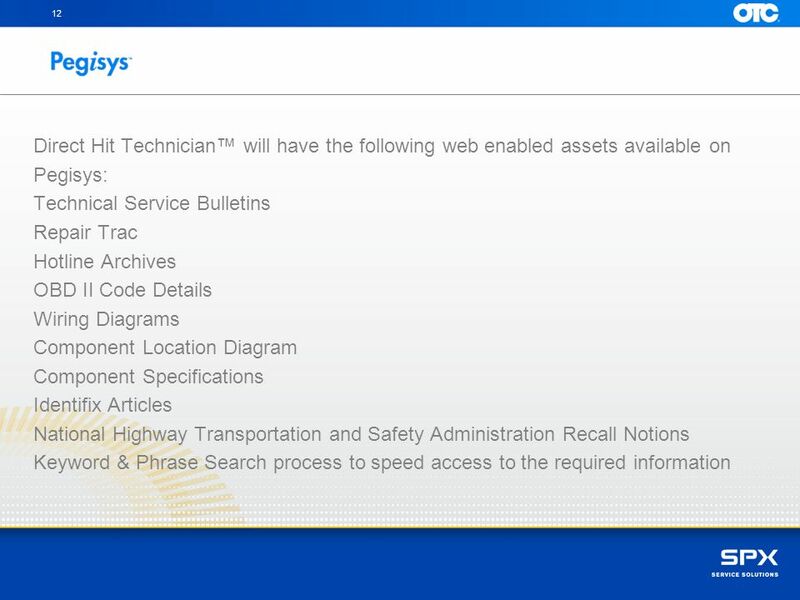 Psion Teklogix 7530 Handheld Computer. 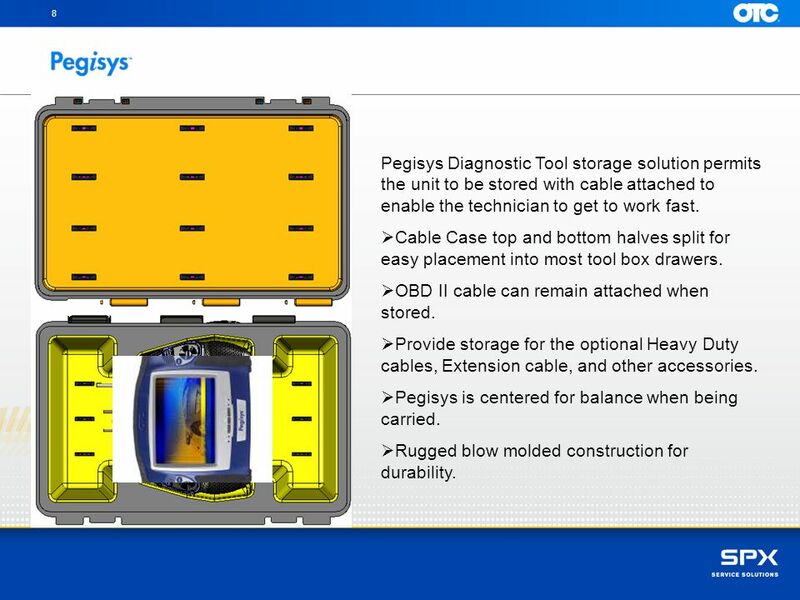 Super Rugged –Temperature Range: -22 F to 140 F (-30 C to +60 C) –IP67 –Drop rating: 1.5 meters (26x) PLUS 2.0. All DVRs are not created equal. 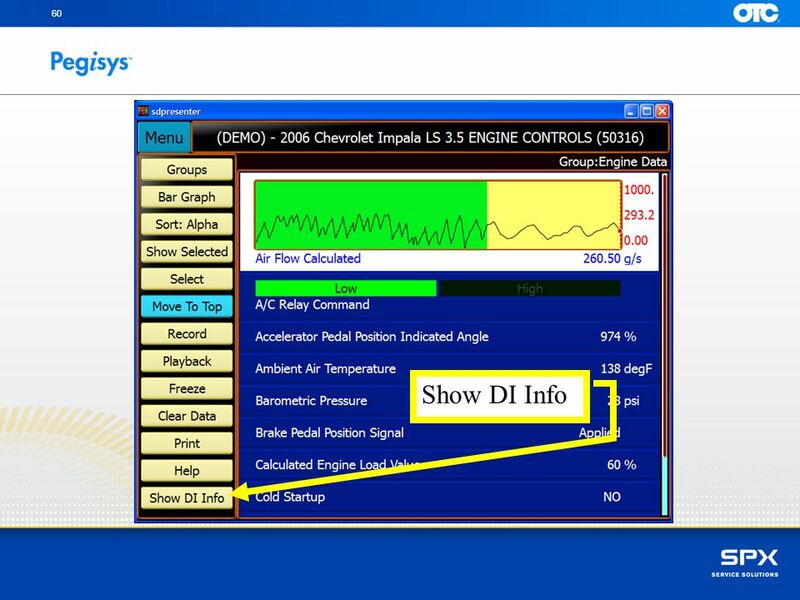 A stellar customer service record nationwide via direct service and our dealer network. 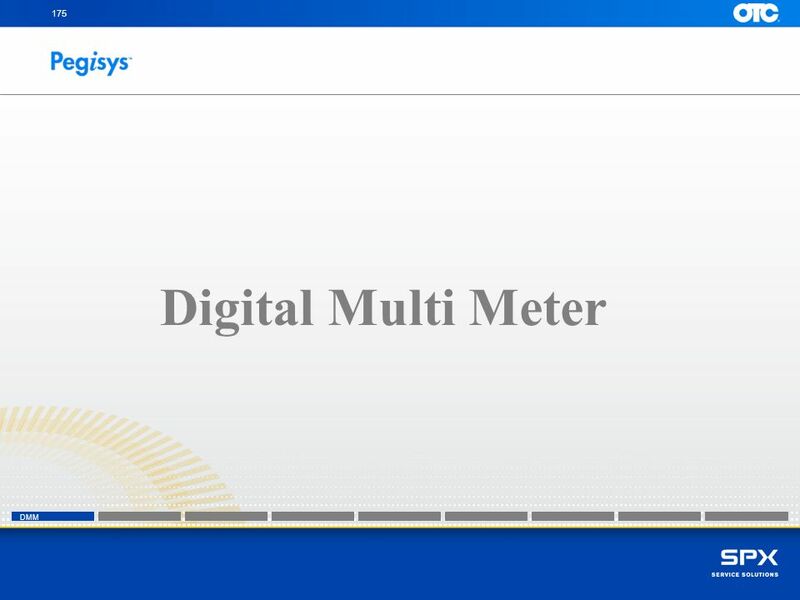 Our 10-year site level electronic. 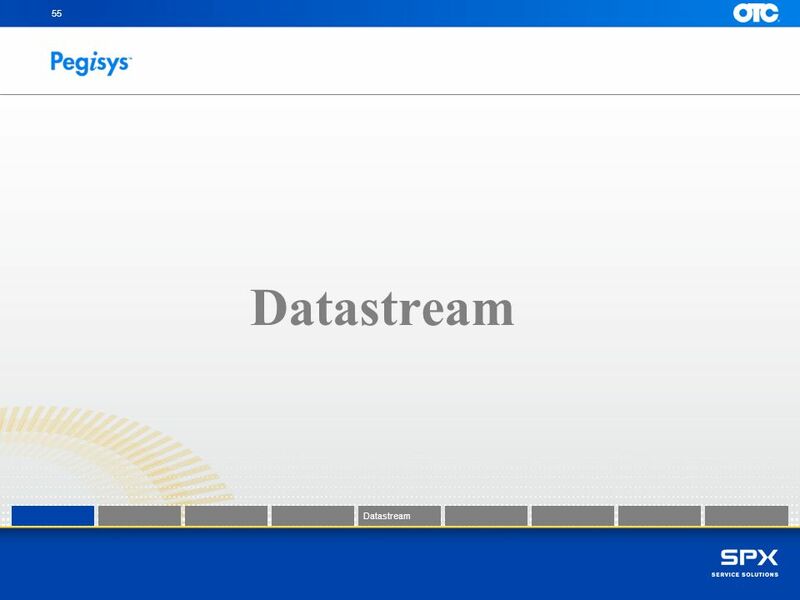 2008 Adobe Systems Incorporated. All Rights Reserved. 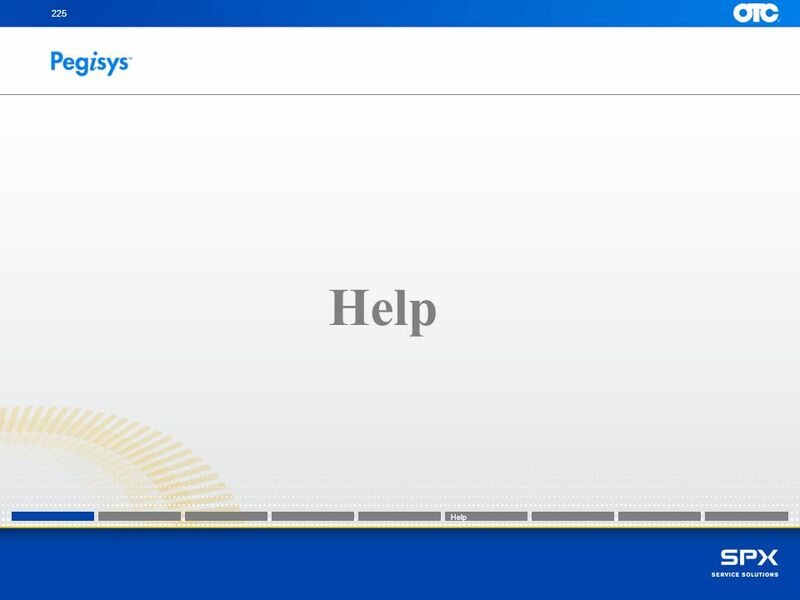 Getting Started with Adobe Presenter Modified by C. Candace Chou.